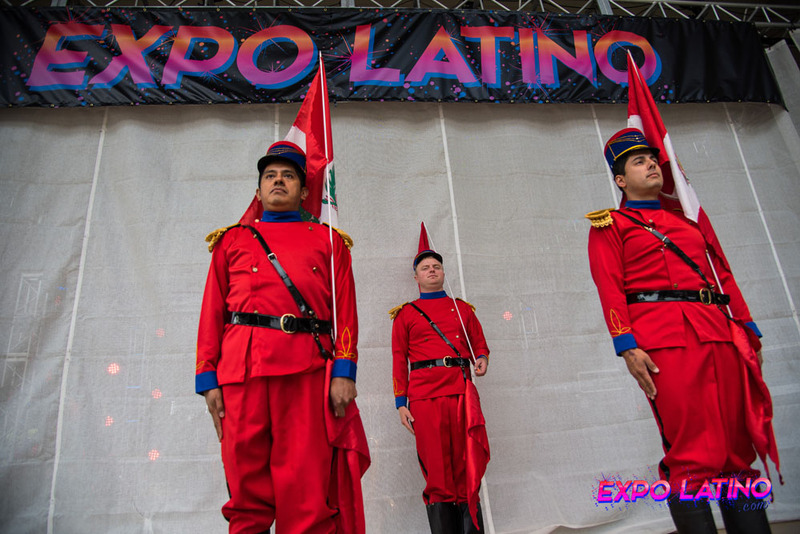 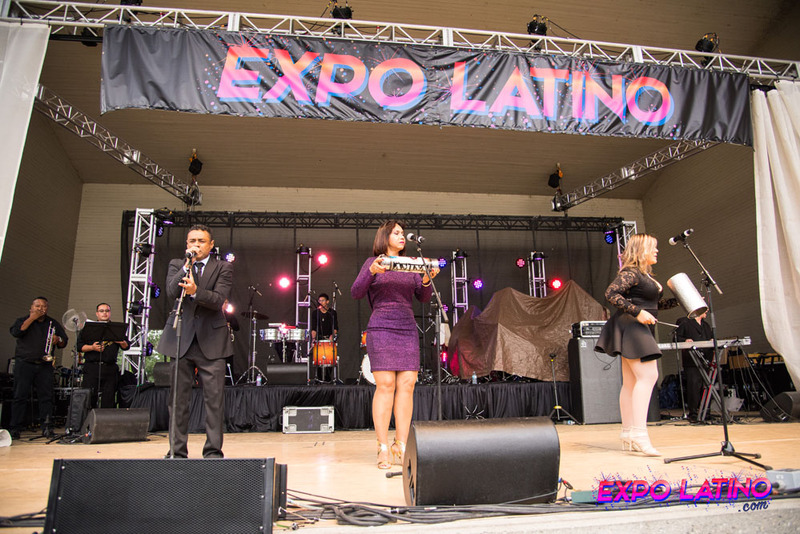 Expo Latino 2017 has already come and gone, and it’s time to set our sights on Expo Latino 2018. 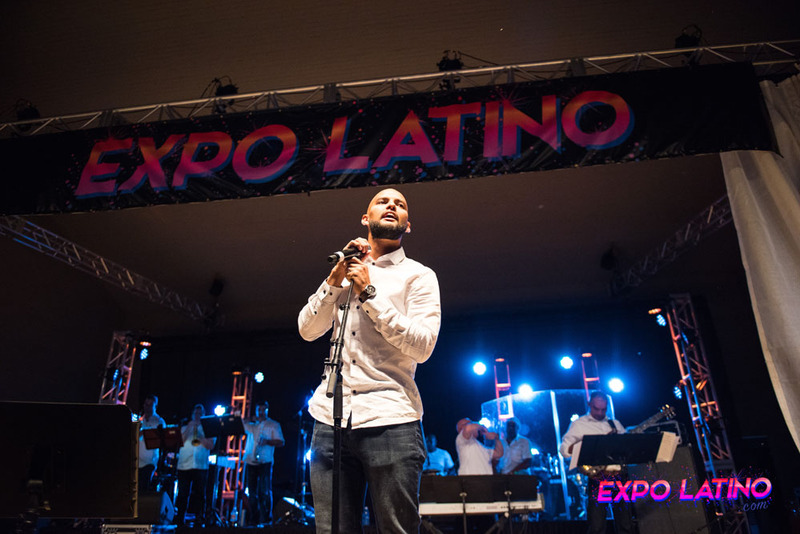 The Latin festival ended off a season of live music weekends around the city—put simply, all eyes and ears were on Expo Latino this August 18th through 20th. 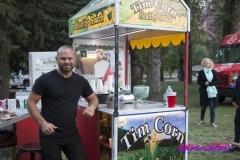 What’s been going on this summer in YYC? 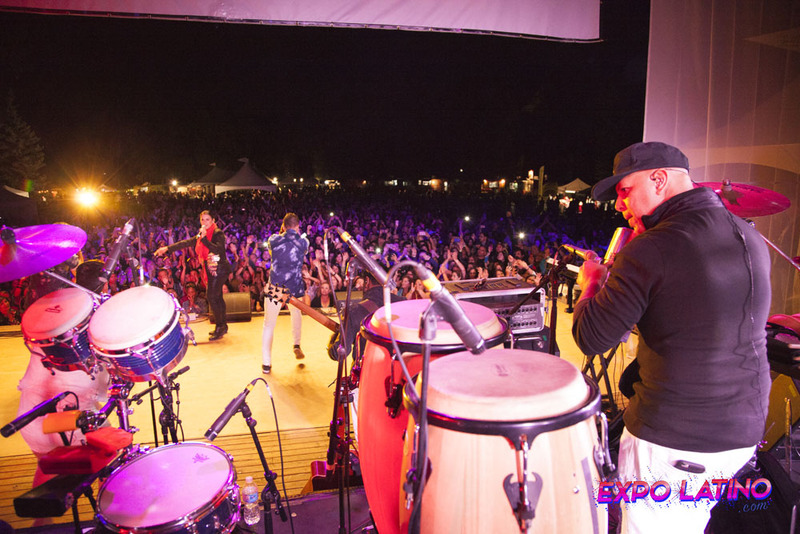 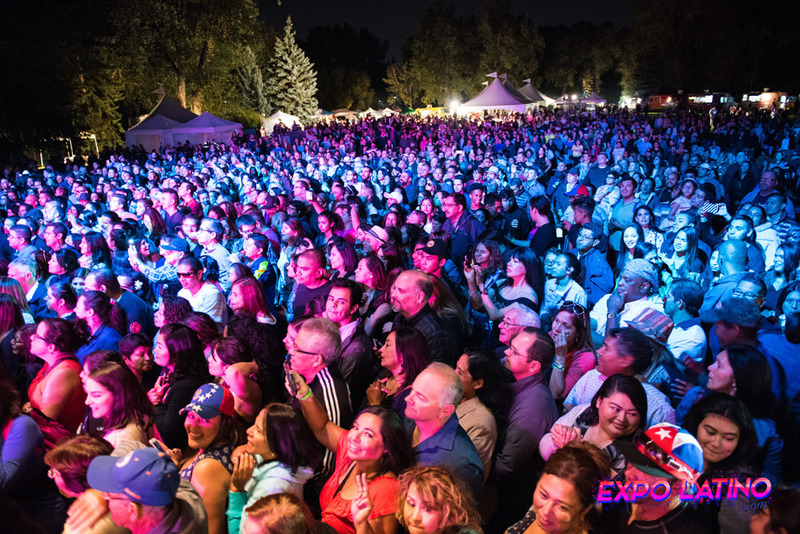 Well recently, thousands of Latin-music-lovers made their way onto the beautiful Prince’s Island Park for a weekend of non-stop partying on August 18th through 20th. 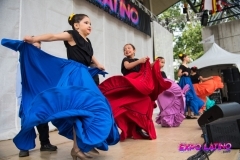 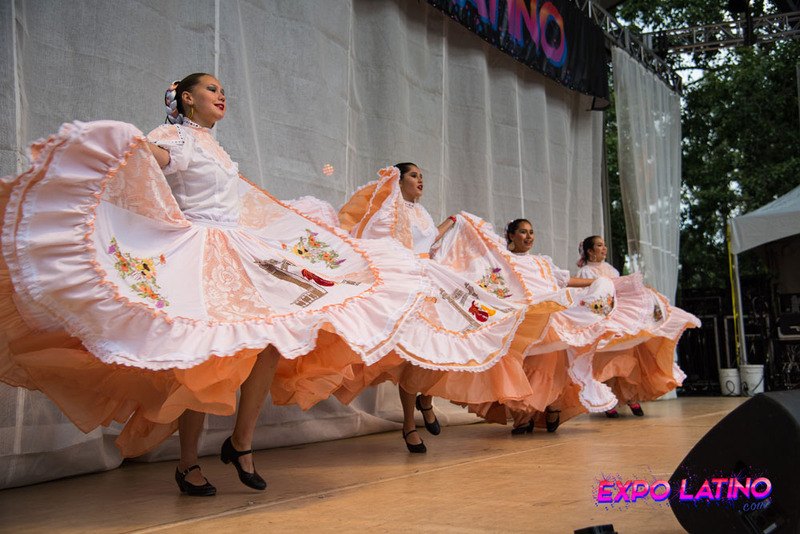 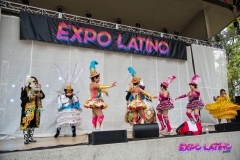 A staple date in many people’s calendars, the annual Expo Latino festival always draws celebrities and audiences from far and wide. 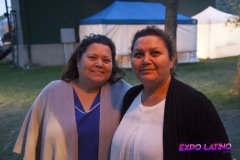 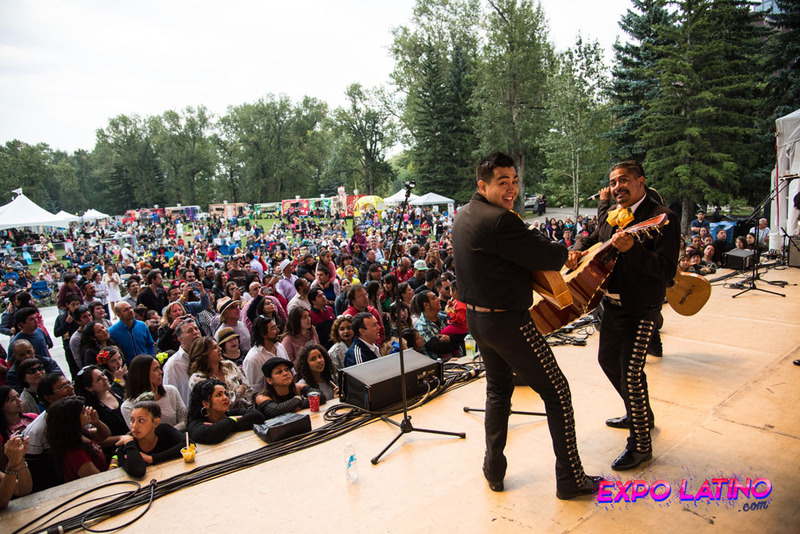 If you couldn’t manage to make it to Western Canada’s Largest Latin Festival, then you’re probably hearing and reading A LOT about what happened across Prince’s Island during that weekend. 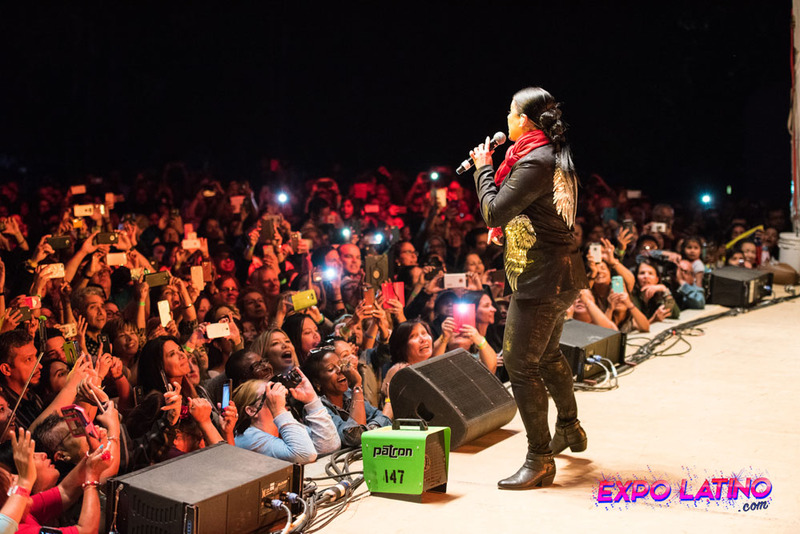 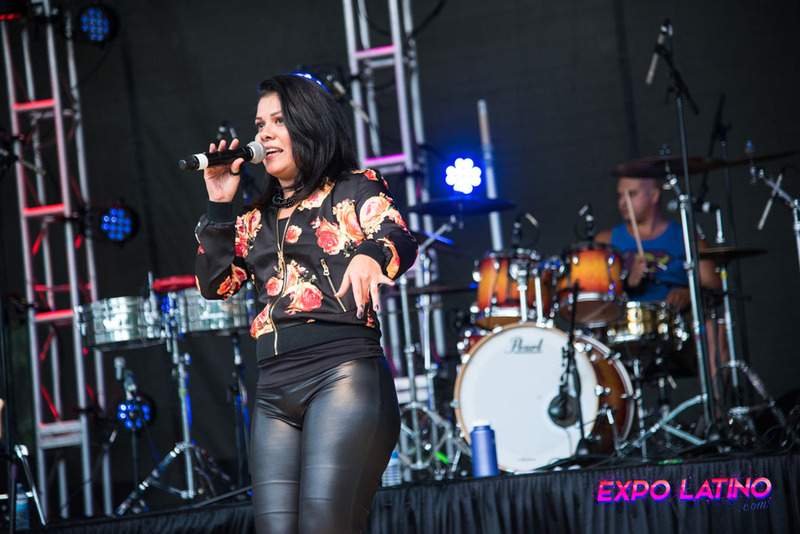 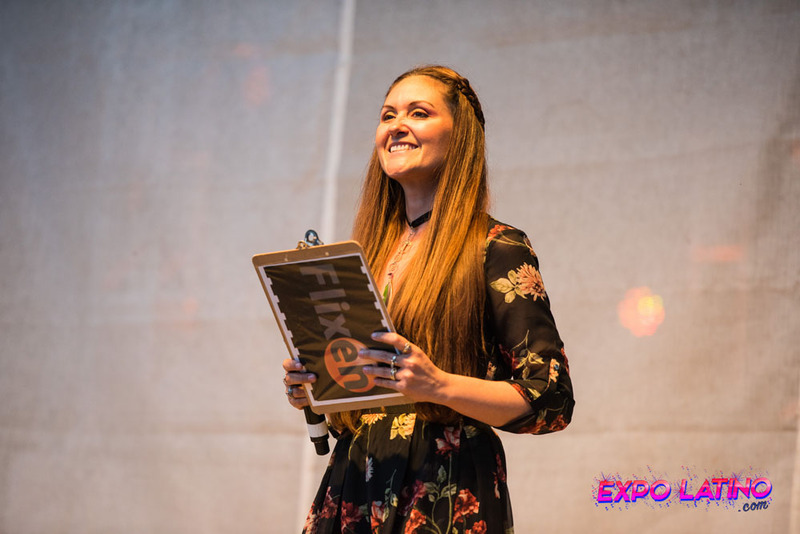 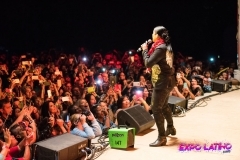 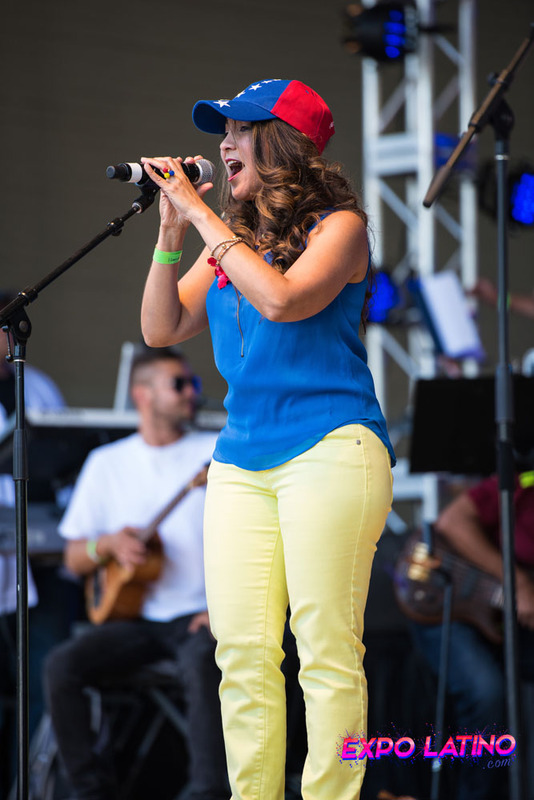 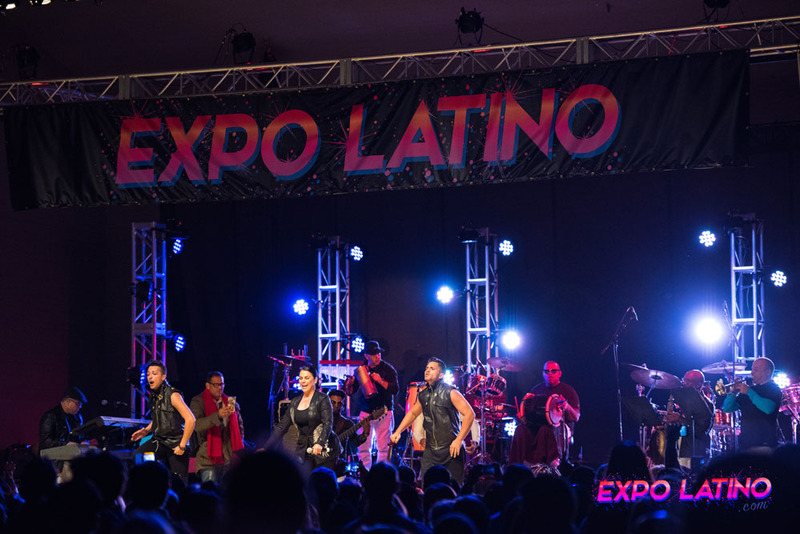 We’ve compiled a full run-down on what you could’ve found at the 21st Edition of Expo Latino and why it has become the ultimate Latin Festival to attend. 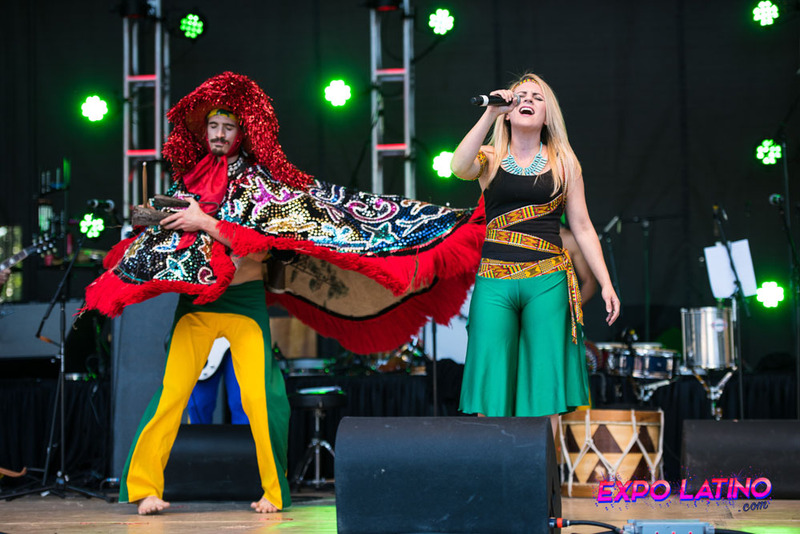 This year, the festival was especially tropical with an even larger range of musical genres on offer than before, new exotic foods, and beautiful sunny weather. 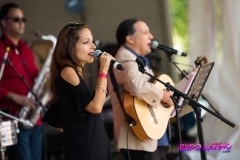 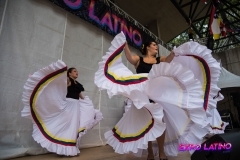 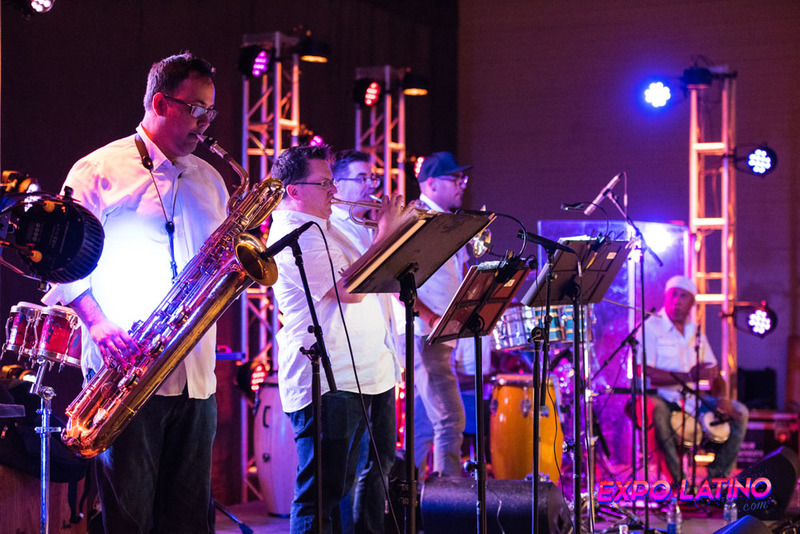 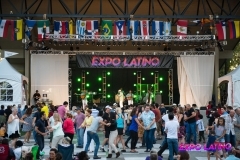 The musical interpretations throughout the weekend included salsa, merengue, cumbia, bachata, reggaeton, samba, mariachi, Latin rock, Latin indie, and many more Latin rhythms. 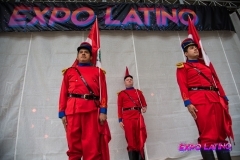 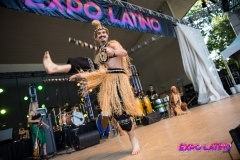 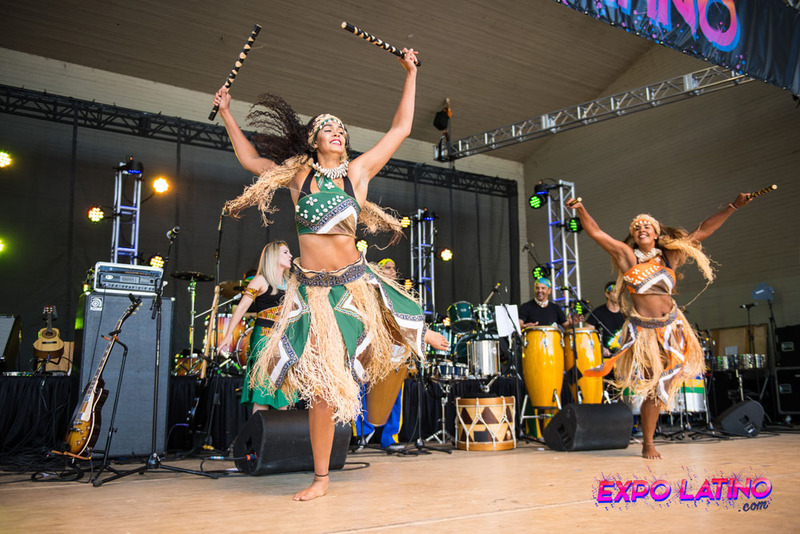 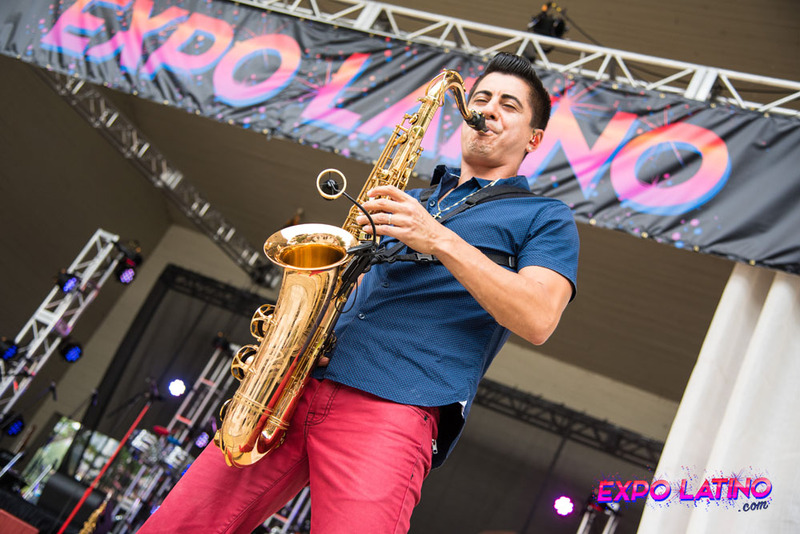 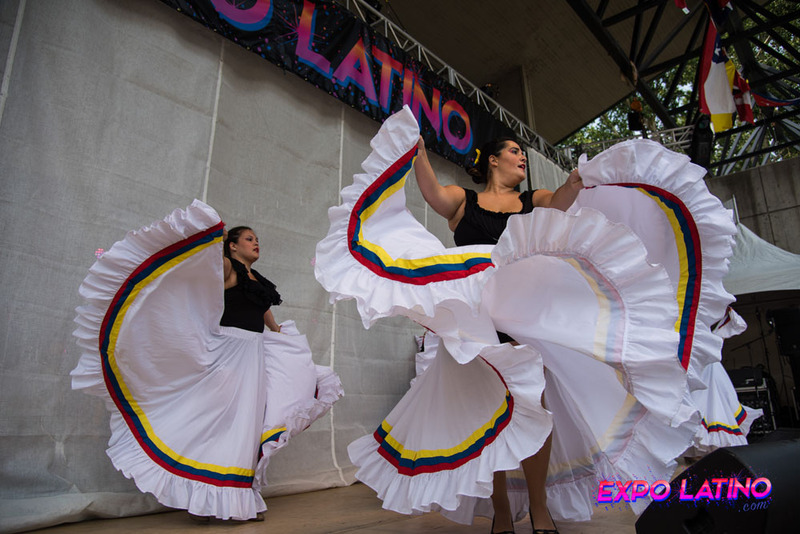 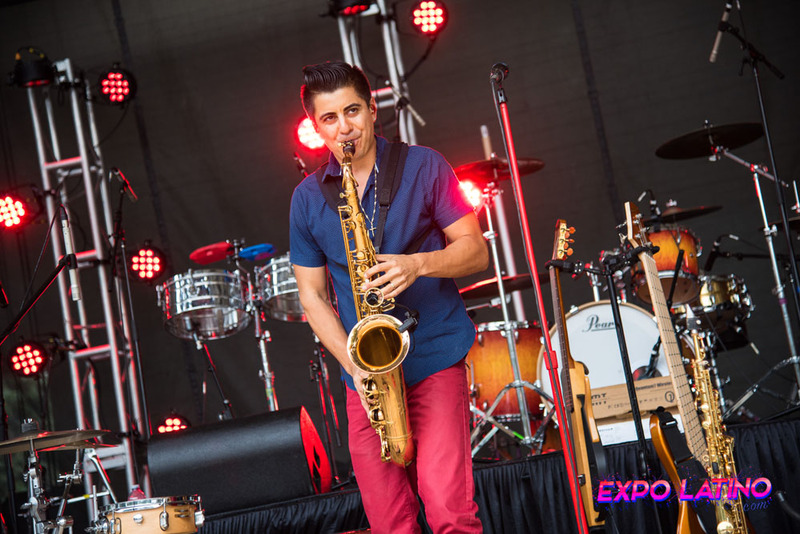 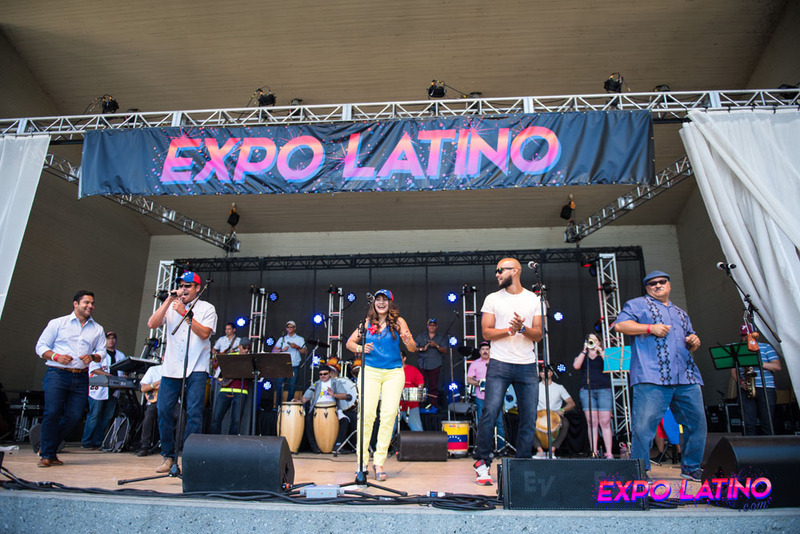 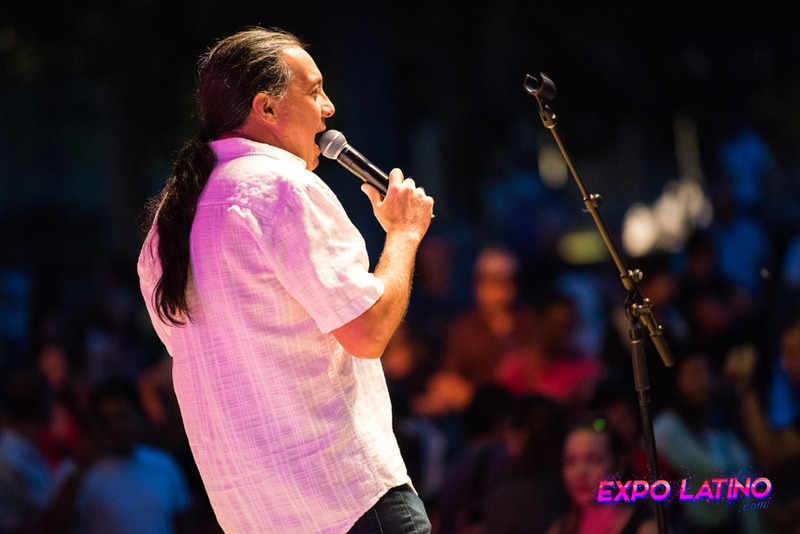 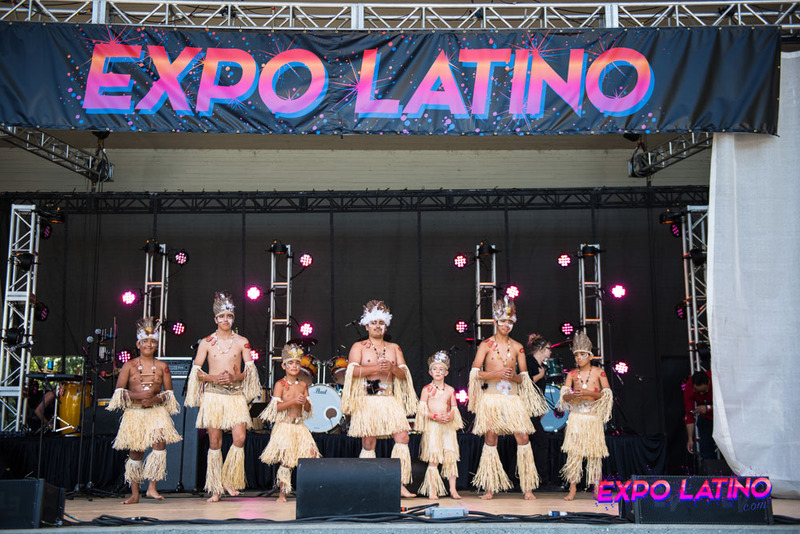 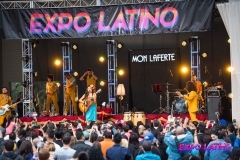 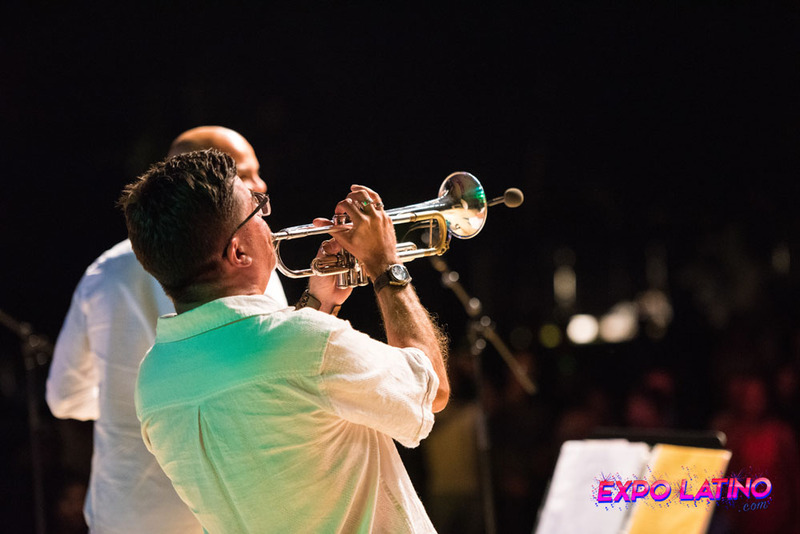 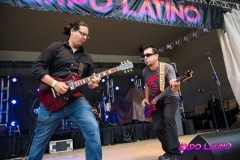 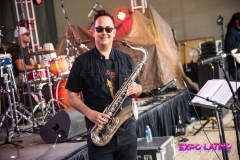 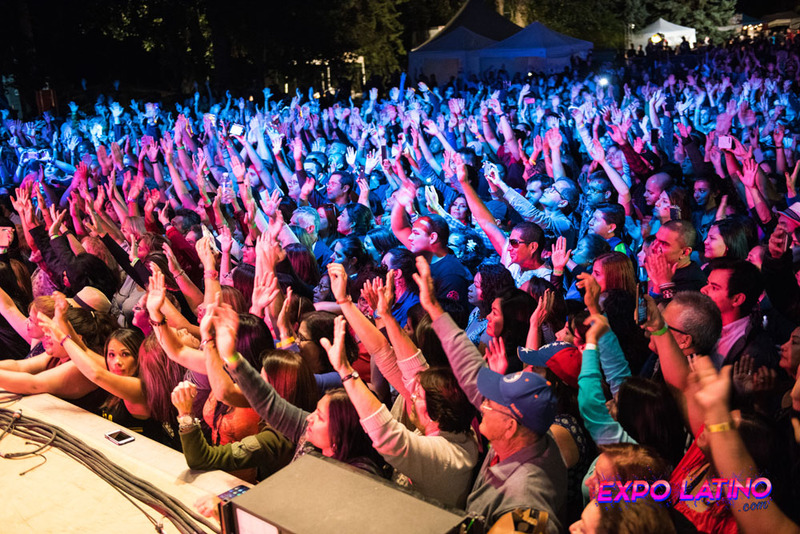 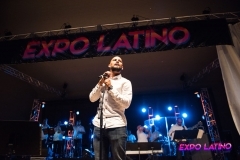 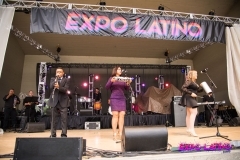 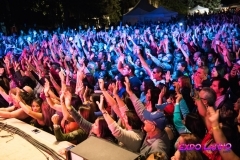 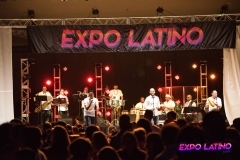 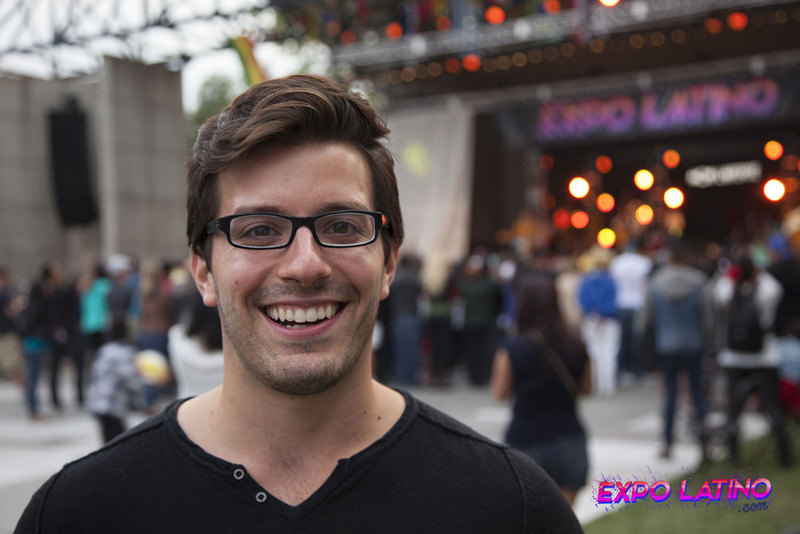 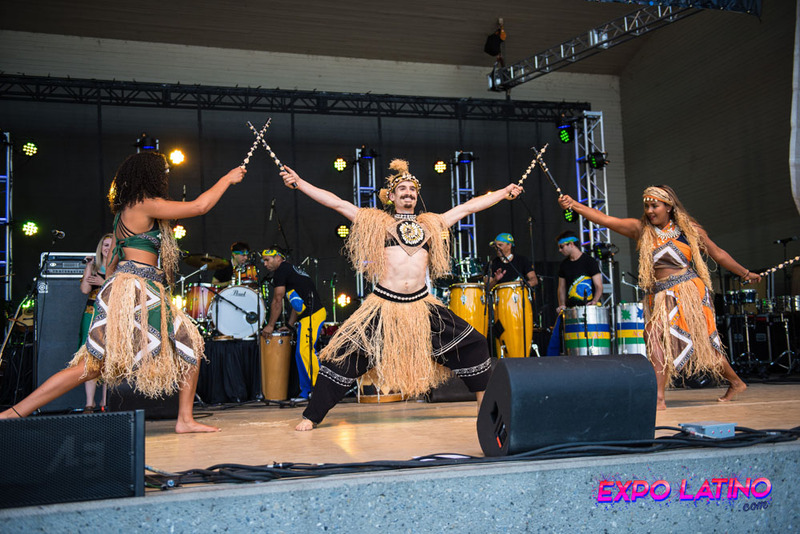 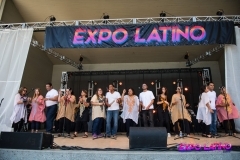 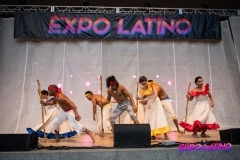 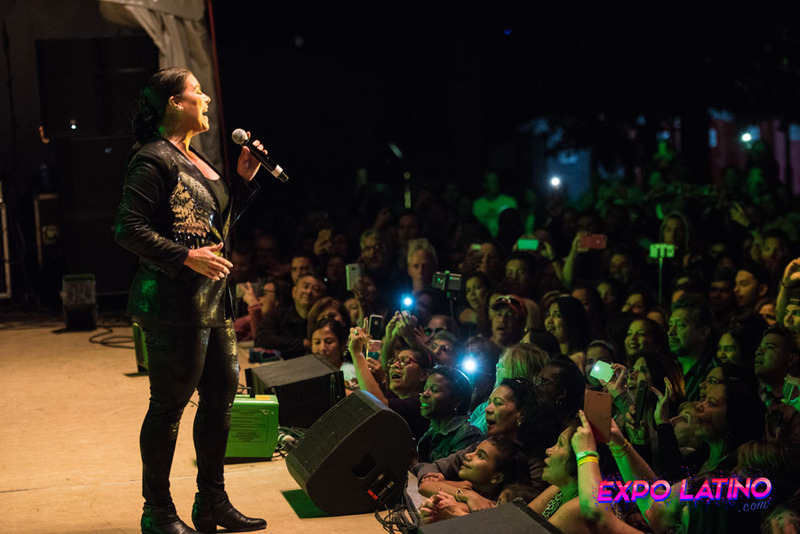 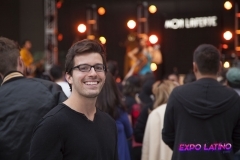 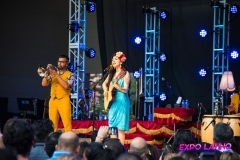 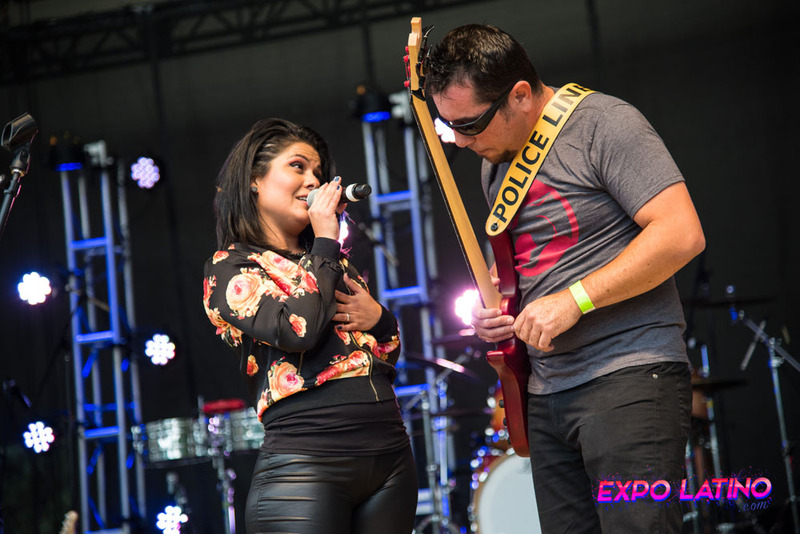 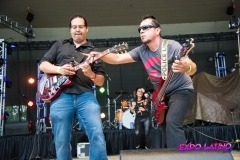 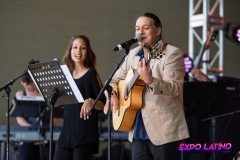 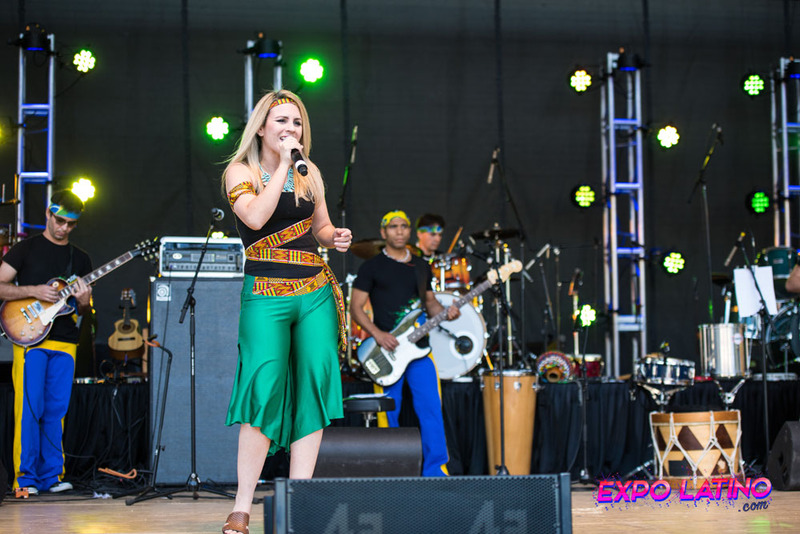 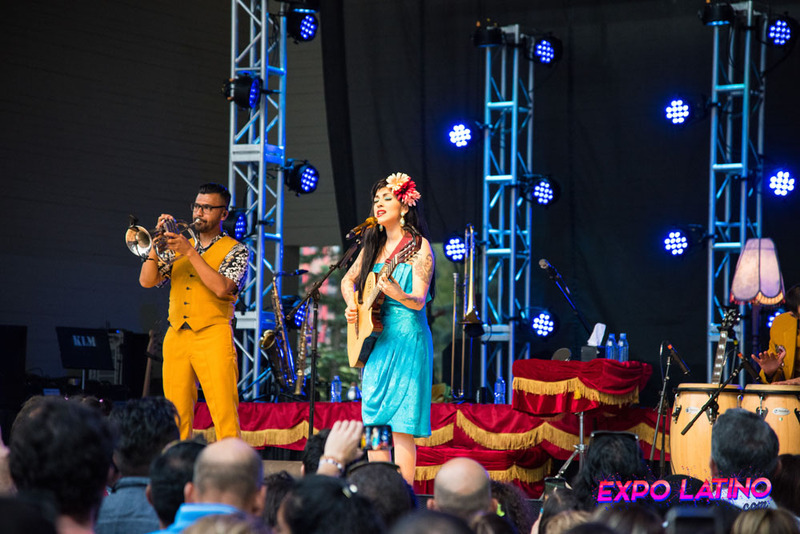 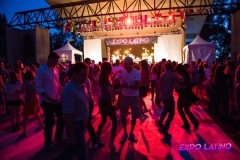 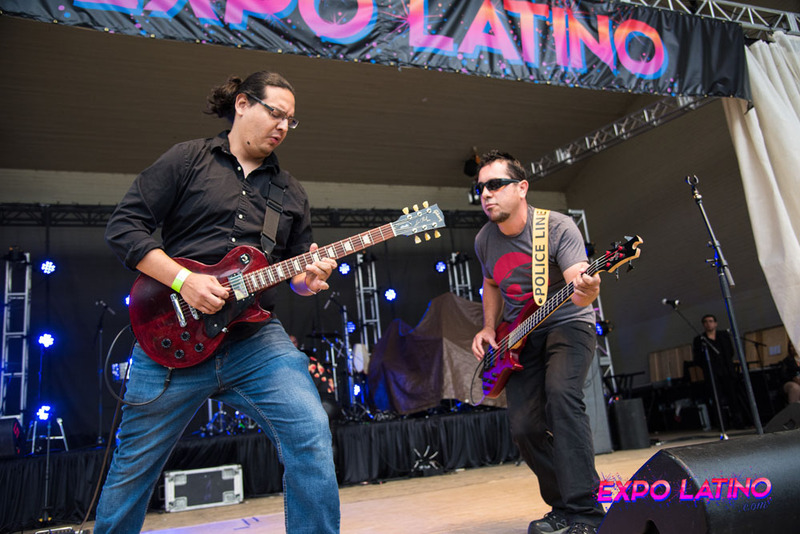 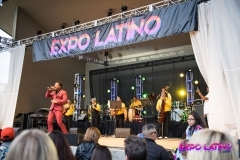 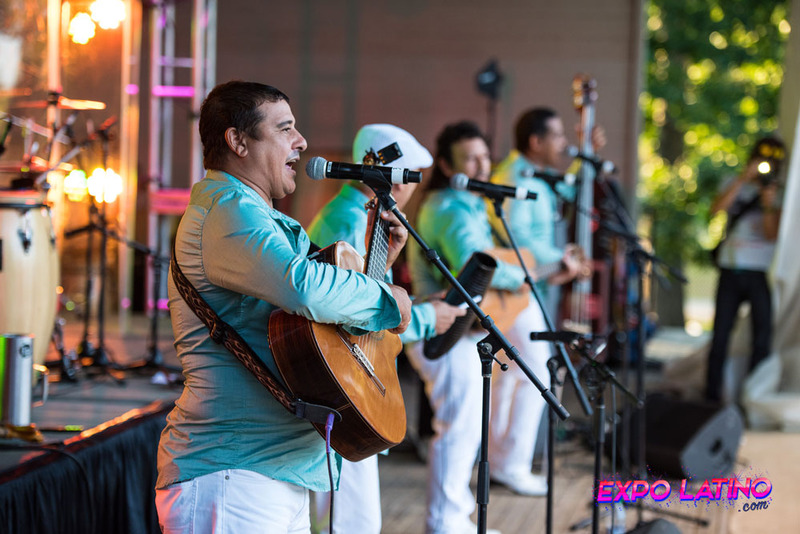 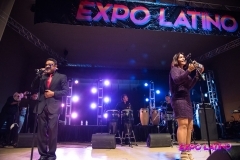 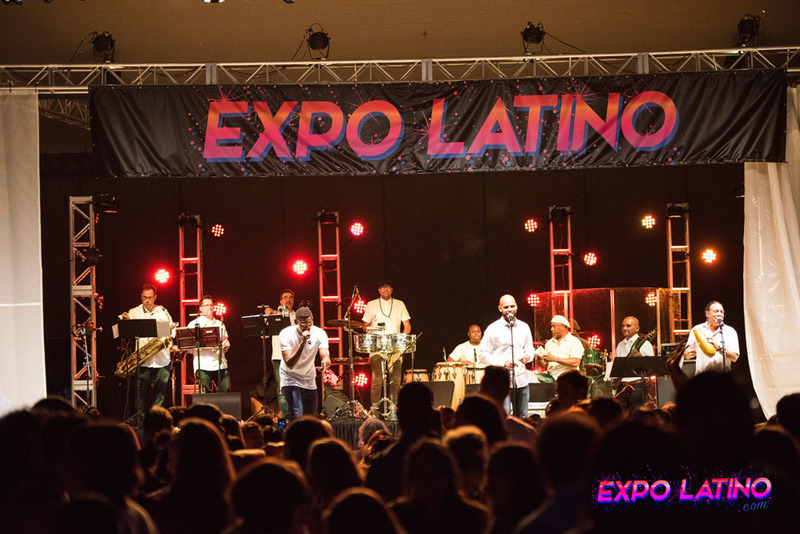 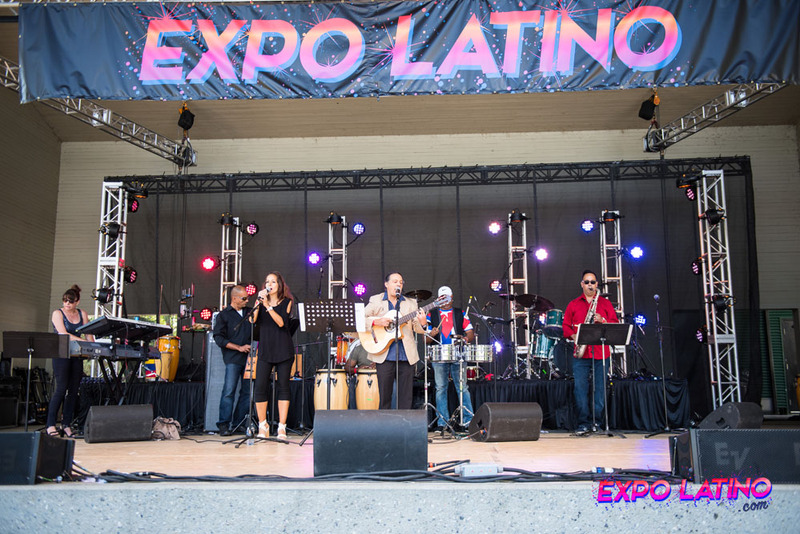 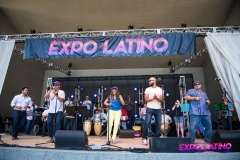 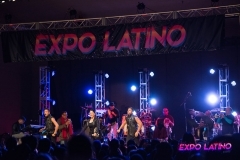 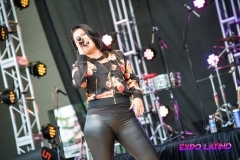 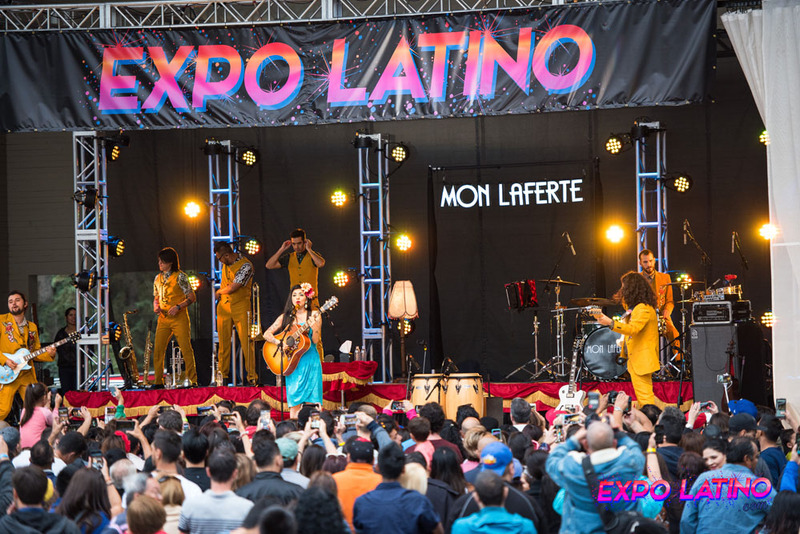 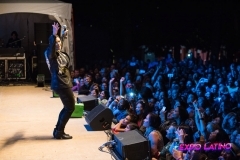 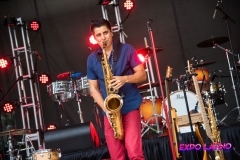 From performances featuring up-and-coming artists to some of the biggest names in the Latin music industry, Expo Latino is a great place to enjoy some of your favourite music as well as discovering something new. 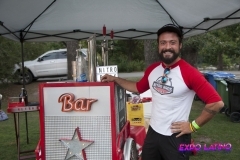 In addition to the world-class musical acts, we had new food vendors as well as many returning ones. We are proud to present such an extensive menu of Latin cuisine in one place. 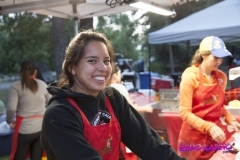 What could be a better way of trying new foods than in a festival under the August sun? 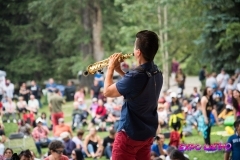 We were very fortunate to have lovely weather throughout the weekend, with cloudless summer skies on Friday and Saturday. 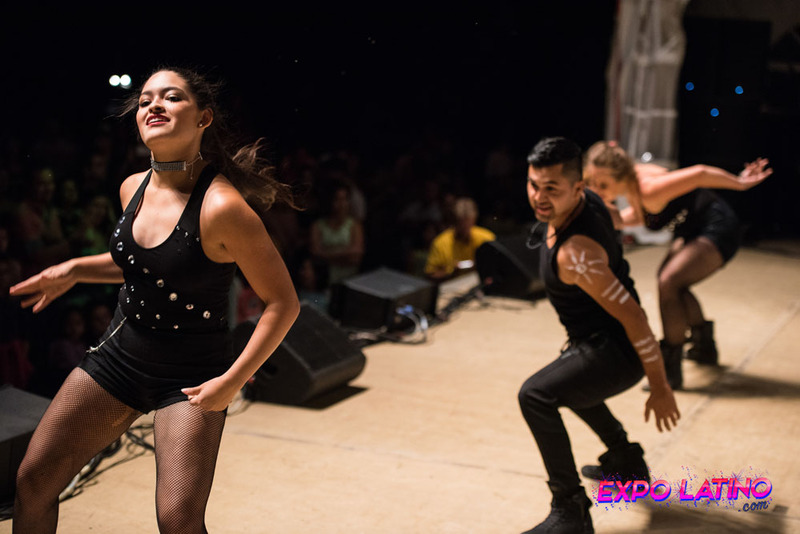 Sunday brought calm weather, it was cooler, refreshing, and perfect for dancing outdoors. 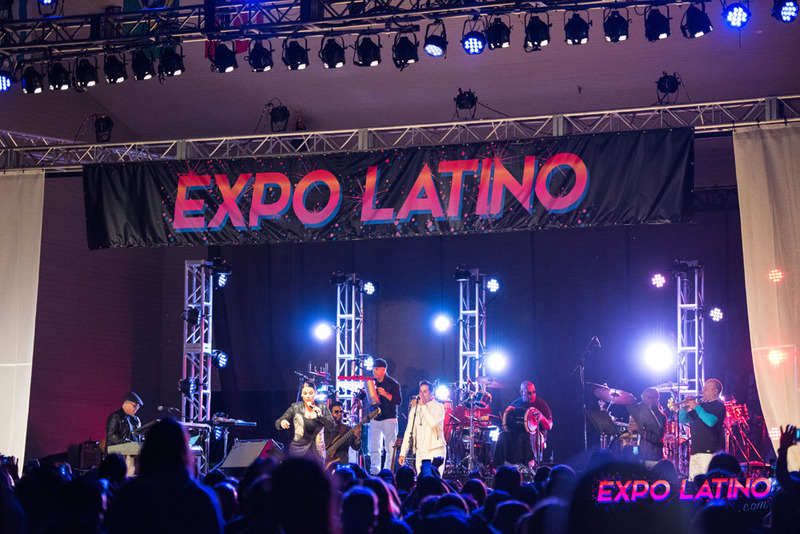 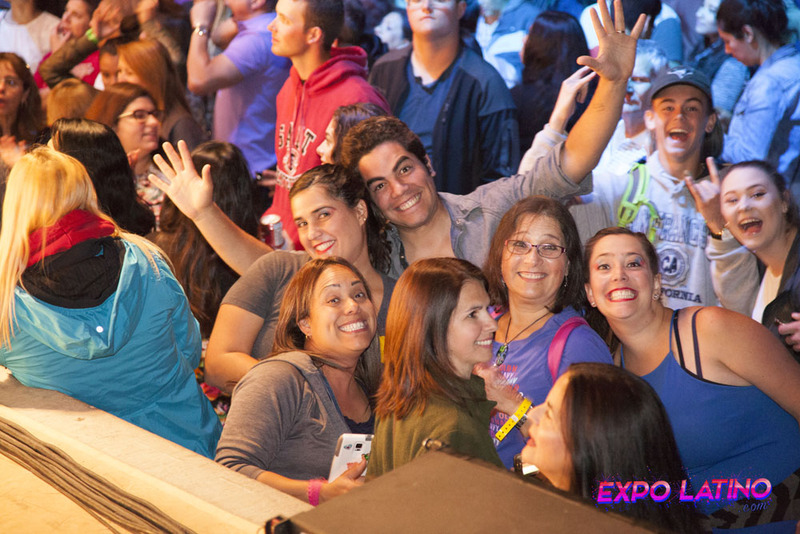 In essence, Expo Latino 2017 was better than ever and 2018 brings high expectations! 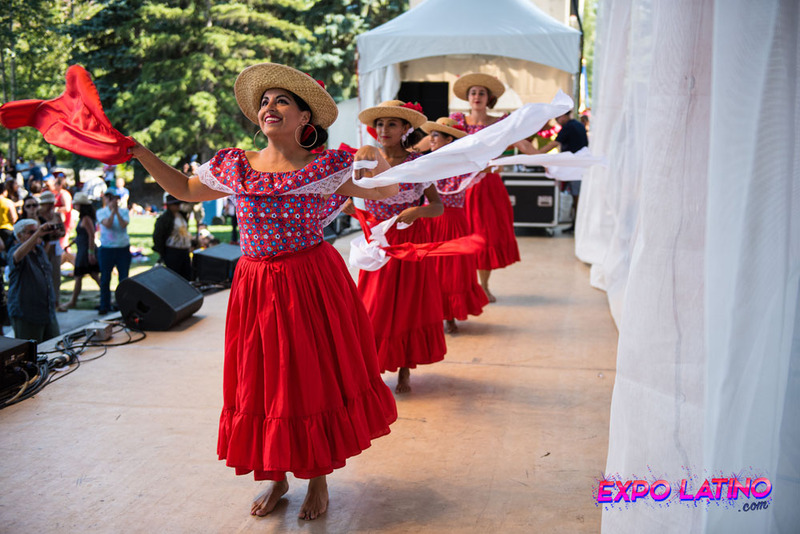 The first day of the festival was full of captivating acts, including amazing dancers and powerful salsa bands. 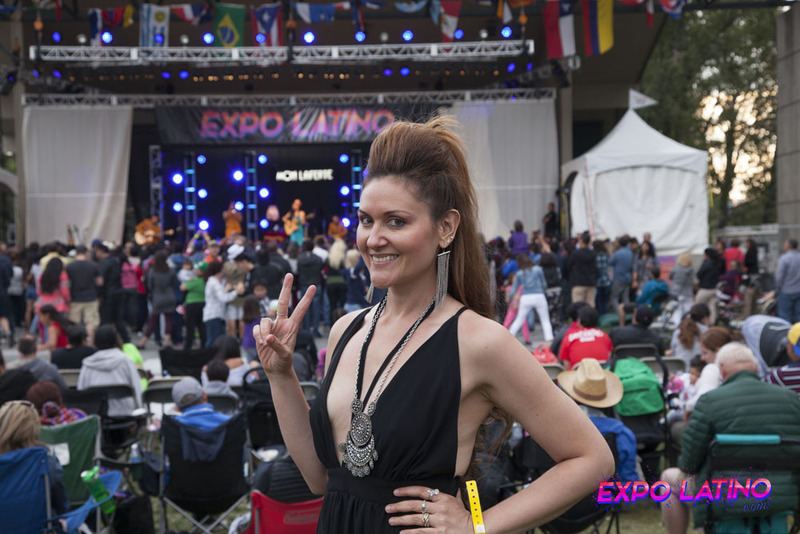 To start off, Paula Regehr charmed the crowd with her opening act. 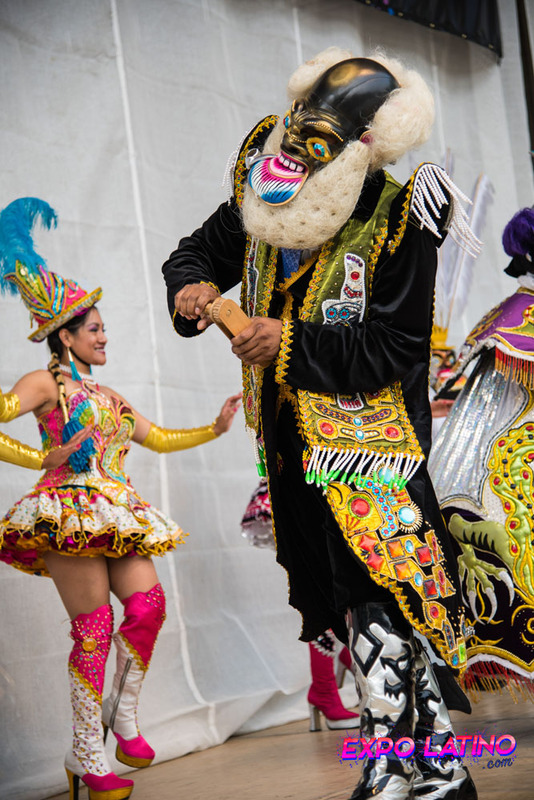 This feather and jewel-clad Samba Queen danced to rhythmic Brazilian music Friday afternoon on stage. A Salsa marathon followed Paula soon after, consisting of the Salsa Dance School Showcase, Distrito Salsa Band, and Brisas Del Palmar. 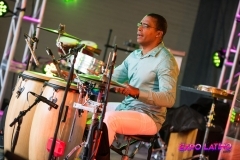 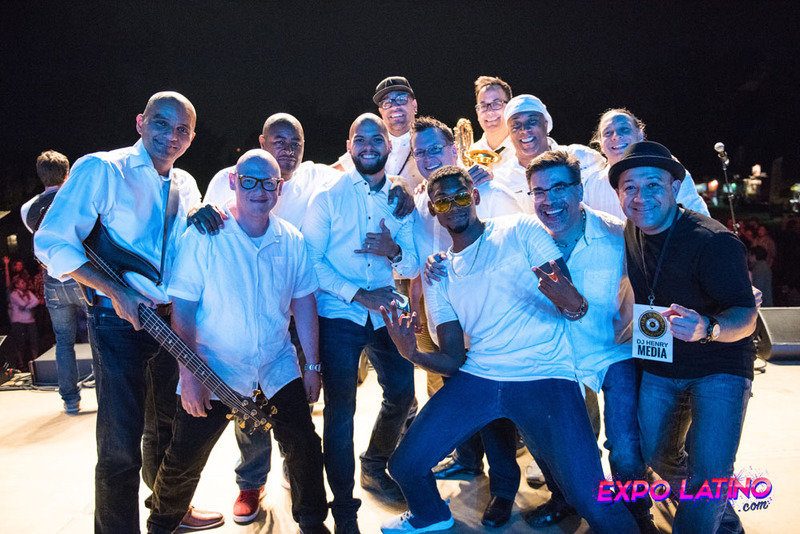 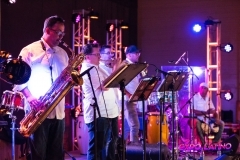 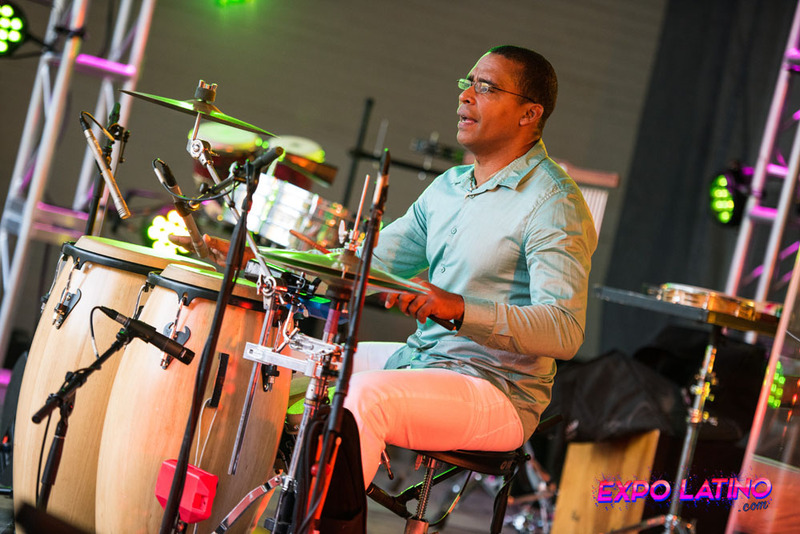 The authentic Cuban Salsa band, Brisas del Palmar, surprised the audience that night with its unique ability to make complex musical arrangements and beautiful vocal harmonizations. 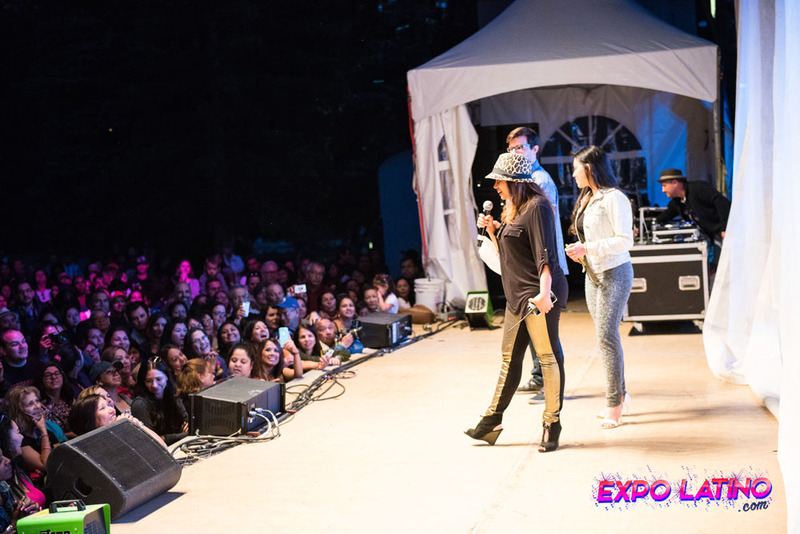 Overall, Friday’s presentations were the perfect kick-off to the three-day event. 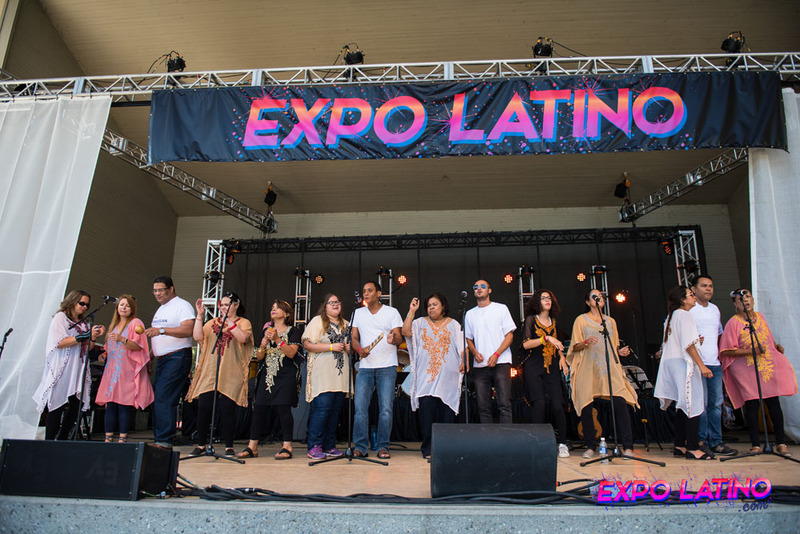 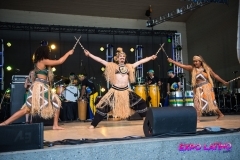 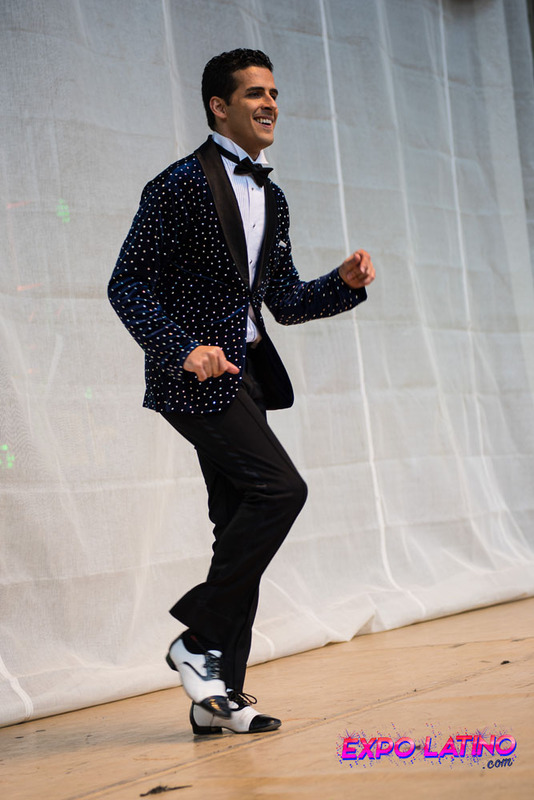 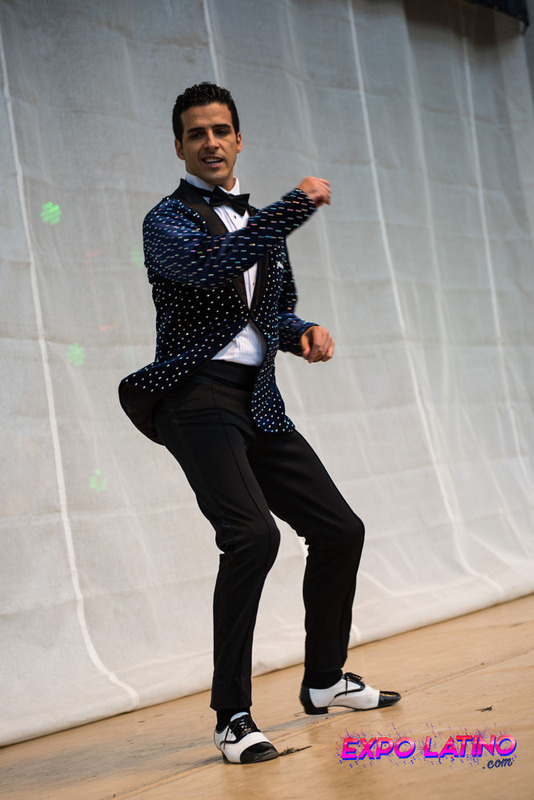 Saturday brought many wonderful things for the festival, high-energy Zumba classes, Latin folk dance and music groups, and a number of headlining performances. The Expo Latino Zumba Crew started the day off with some dynamic Latin dance routines to get people moving. 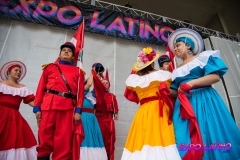 After the dance session, many bands and folk groups such as La Parranda, Raíces De Chile, Raíces de Perú, Asi es Colombia, Sabor a Cuba, Estampida Gaitera, and Agua Quina presented themselves. 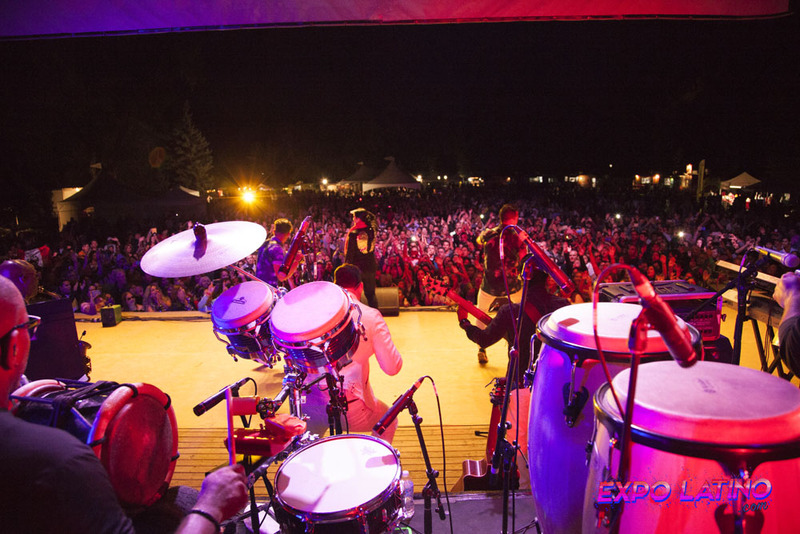 Not to mention the performances made by several of the festival’s headliners, which didn’t fail to surprise. 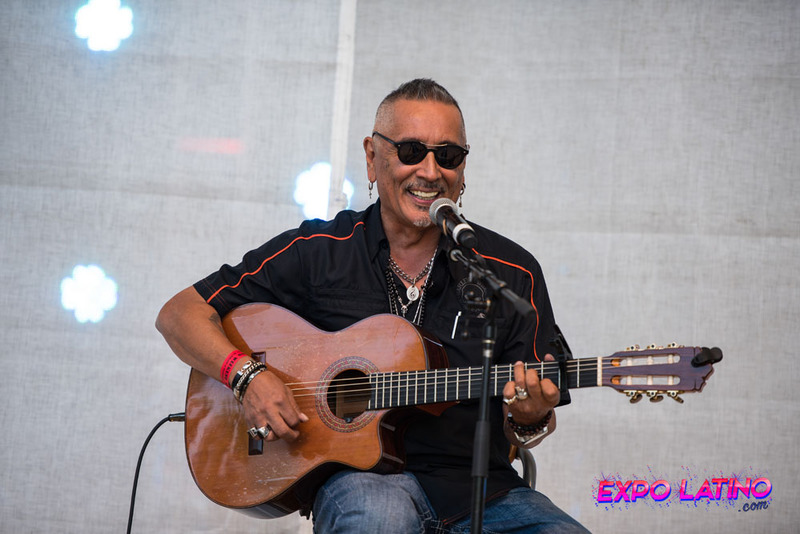 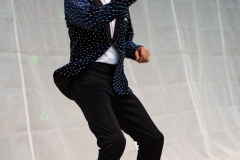 The first headliner that day was Chilean musician Oscar Lopez, who brought his infectious rhythms, guitar mastery, and improvisational wit that made people get up and move on the dance floor. 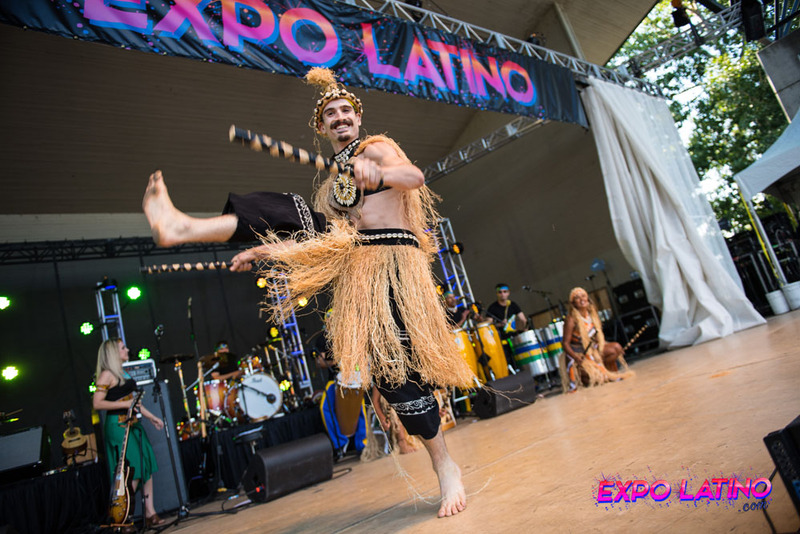 Later in the night, we enjoyed the acrobatics, martial arts, and Afro-Brazilian dance by Ache Brasil, and an hour of hot salsa music with Maikel Dinza, who is considered the next best hope of Cuba. 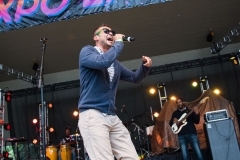 After Dinza’s performance, Dani Arias from Cuba brought his reggaeton beats to the Prince’s Island Park. 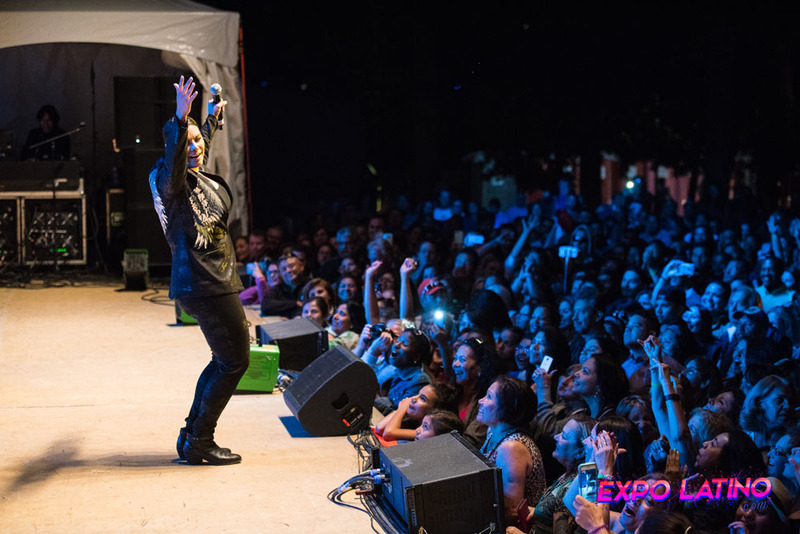 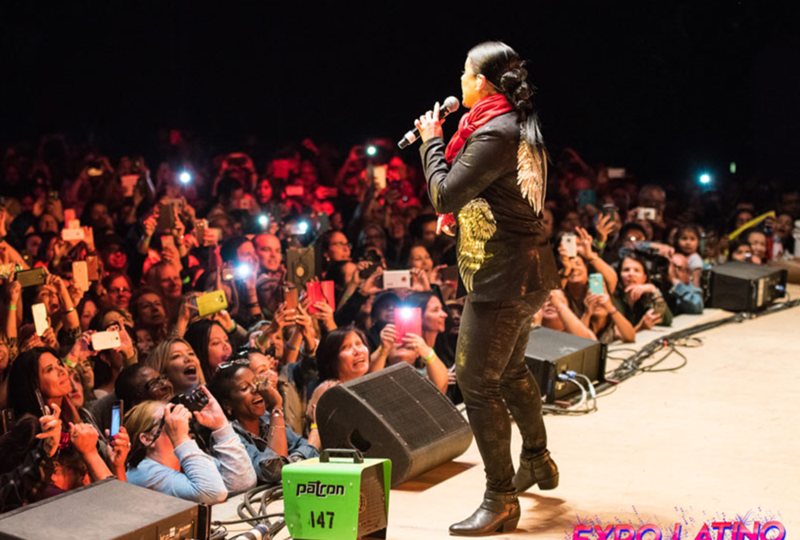 The Puerto Rican Merengue Queen, Olga Tañón, truly became the star of the show with her sold out act. 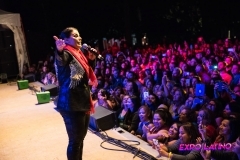 Her two-hour-long performance was full of audience interaction and hit tunes. 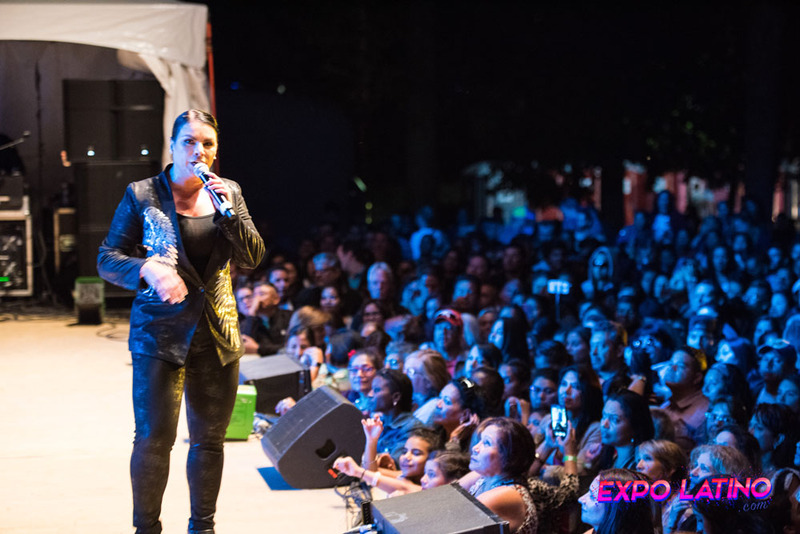 Olga’s presence made thousands gather on the park and sing and dance along to her music. 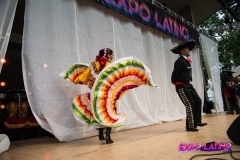 The last day of the festival had the Expo Latino Raffle winner reveal, an authentic Mexican mariachi, and another two headlining presentations. 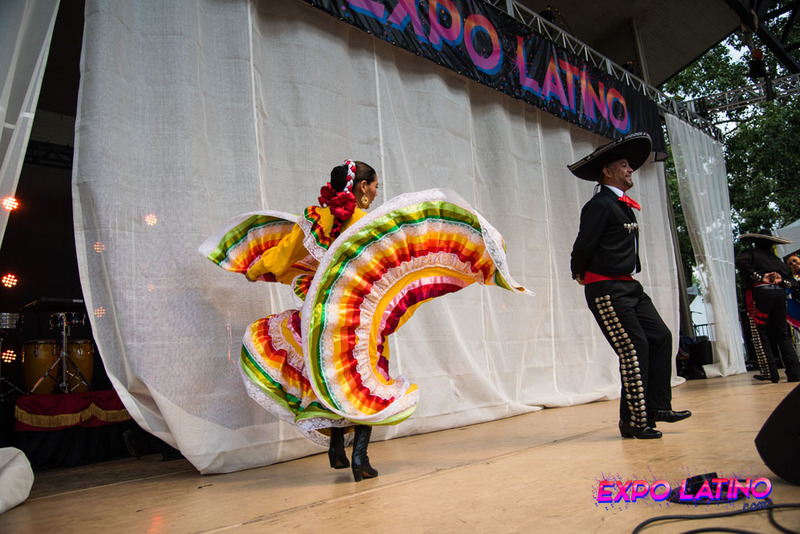 Throughout the festival weekend, raffle tickets for the chance to win 2 plane tickets to Mexico were being sold. 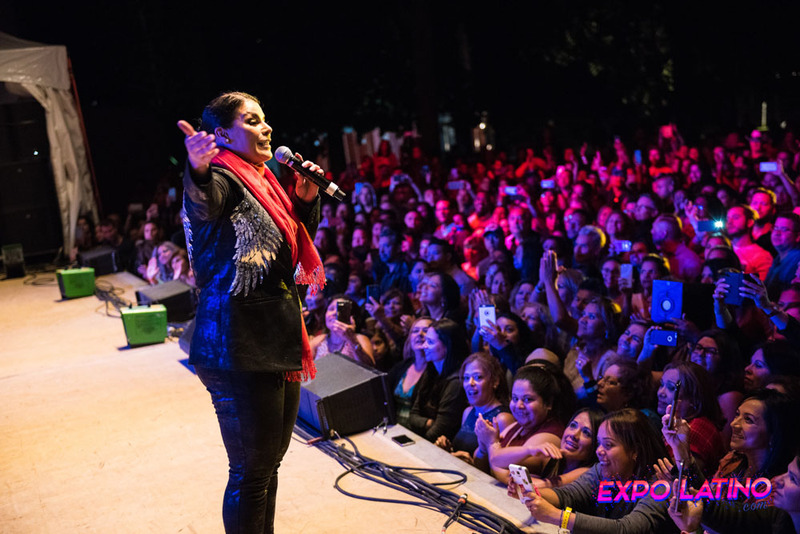 At the end of the night, Kayla Manyshots was revealed as the winner of the Aeromexico-sponsored-raffle. 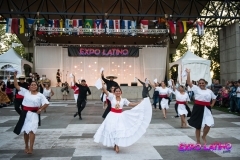 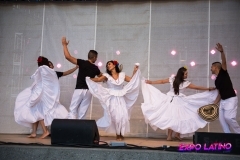 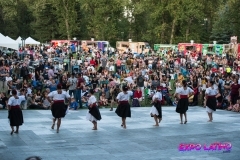 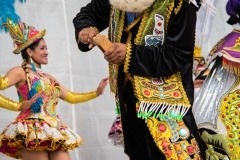 During the day, the festival featured folk dance performances by Peruvian Rhythms Society, Pasos de Venezuela, Dynamic Latin Soul, and Viva Mexico. 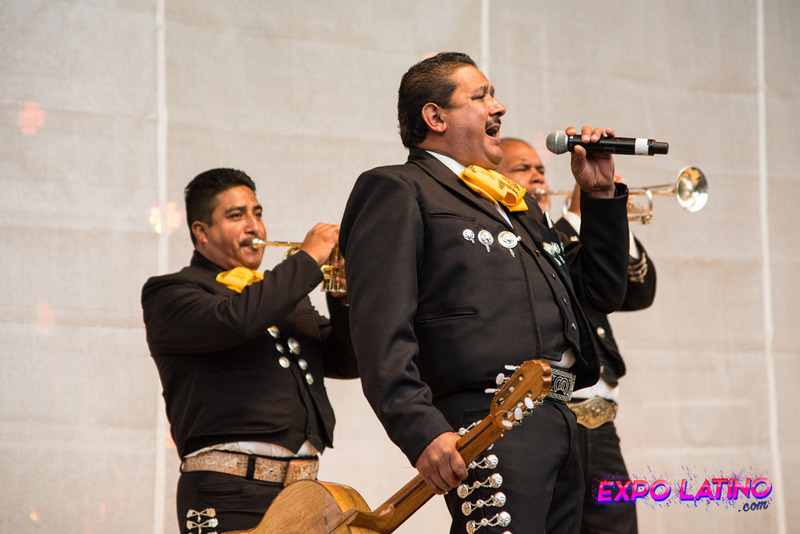 El Mariachi del Cobre from Zacatecas, Mexico had been moving throughout the island as they played their traditional music. 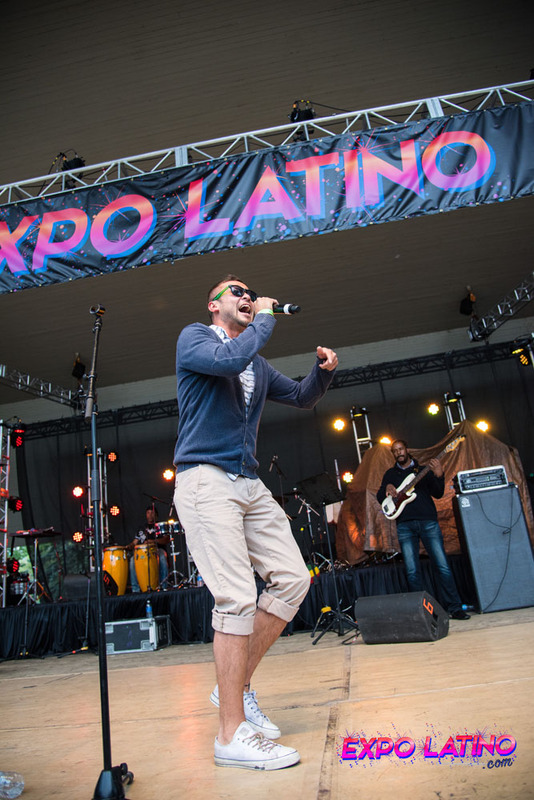 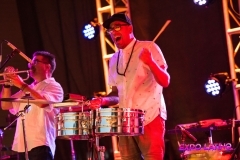 For 20 years, traditional Latin rhythms were pretty much all you could hear at Expo Latino, but this year the festival incorporated newer genres, sparking a change. 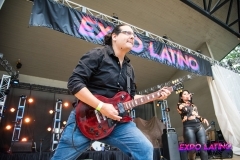 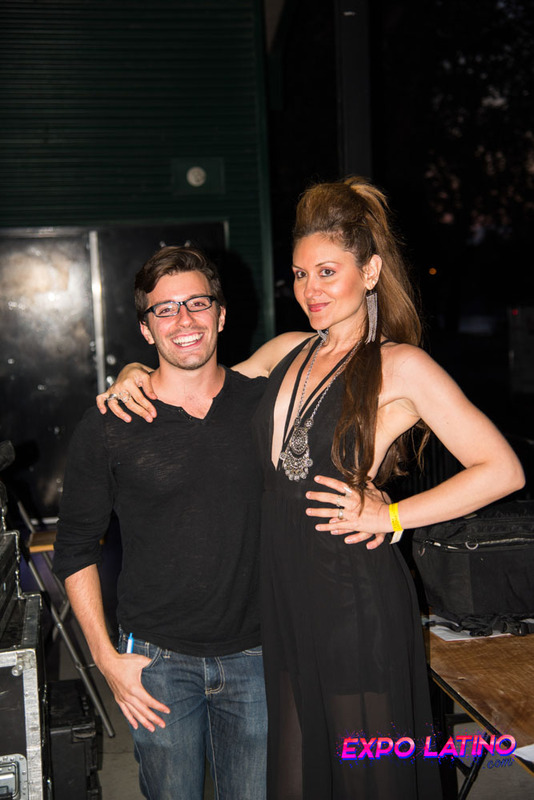 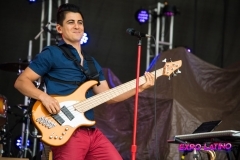 Latin Indie, Alternative, Rock, and Reggae-Fusion made their way into the event. 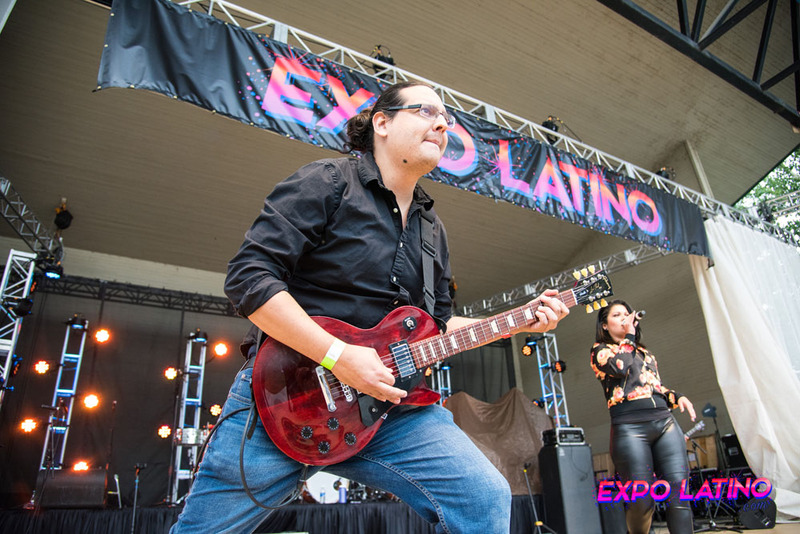 We had a number of artists that represented these genres such as Solido, Uno Band, and Mon Laferte. The Latin Indie Superstar,Mon Laferte, showed her unique style and powerful vocals that night, enticing the audience with her talent and charming personality. 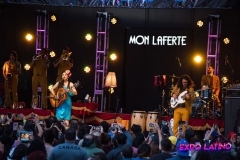 Laferte is known all over Latin America for her theatrical style concerts, alternative music, and pinup looks. 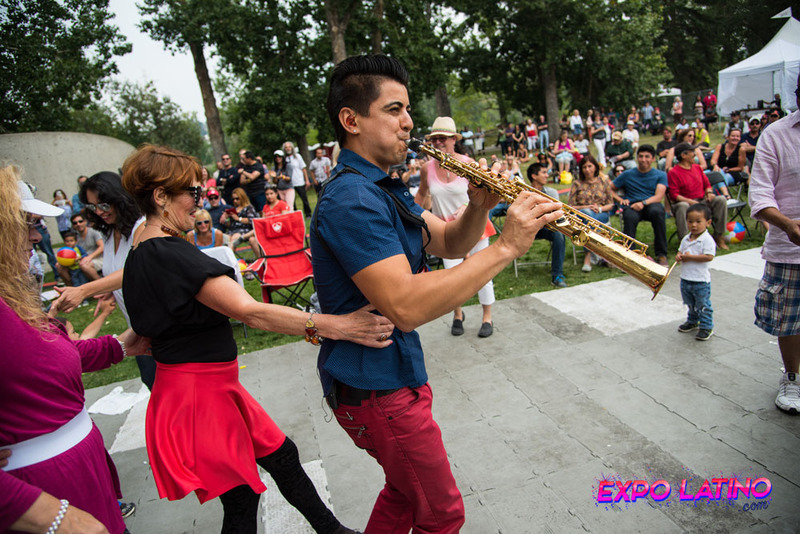 Also, the local tropical band Alberta All Stars and the Internacional Sonora Dinamita put everyone to dance their favourite salsa and cumbia songs. 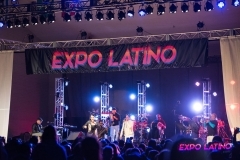 Expo Latino couldn’t have had better performances for the closing day, let alone for the weekend. 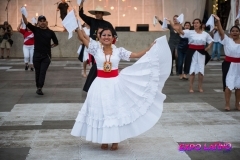 The Hispanic Arts Society would like to thank their sponsors, staff, and volunteers for their support. 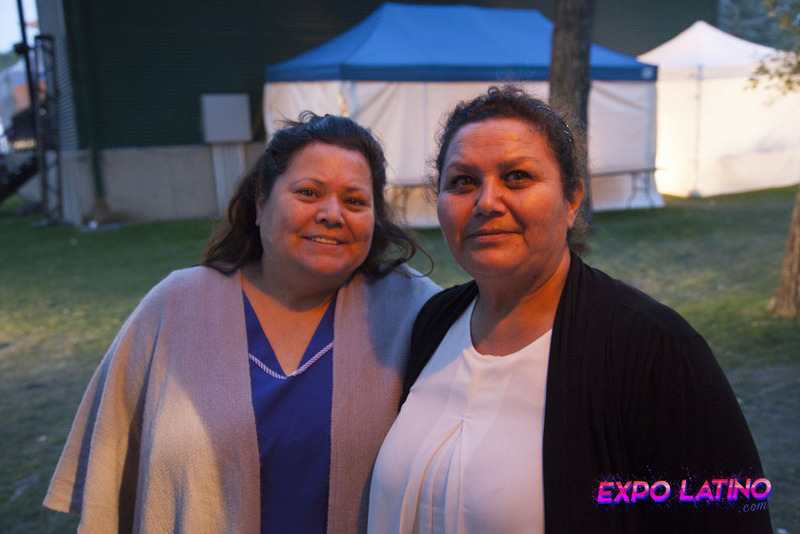 Their contributions are key for making events like this possible. 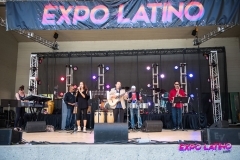 Thanks to all businesses and food vendors for your interest in being a part of the Expo Latino Festival. 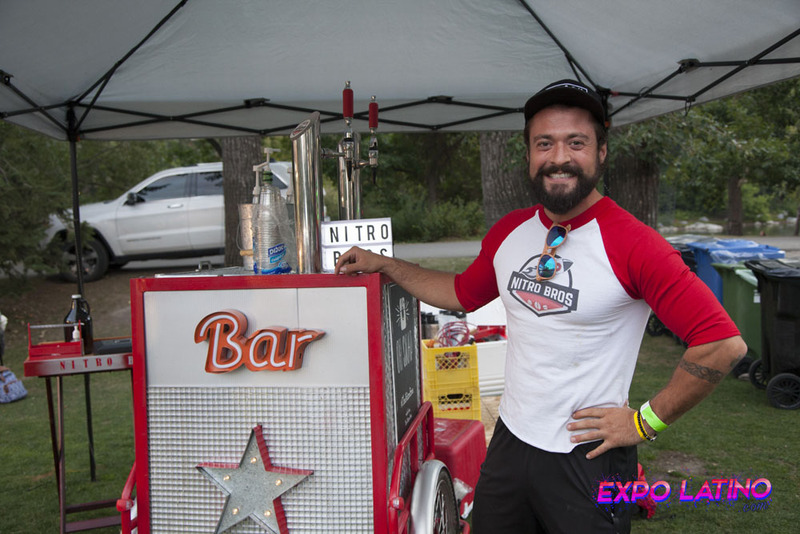 Stay tuned for 2018 Food Vendors Updates. 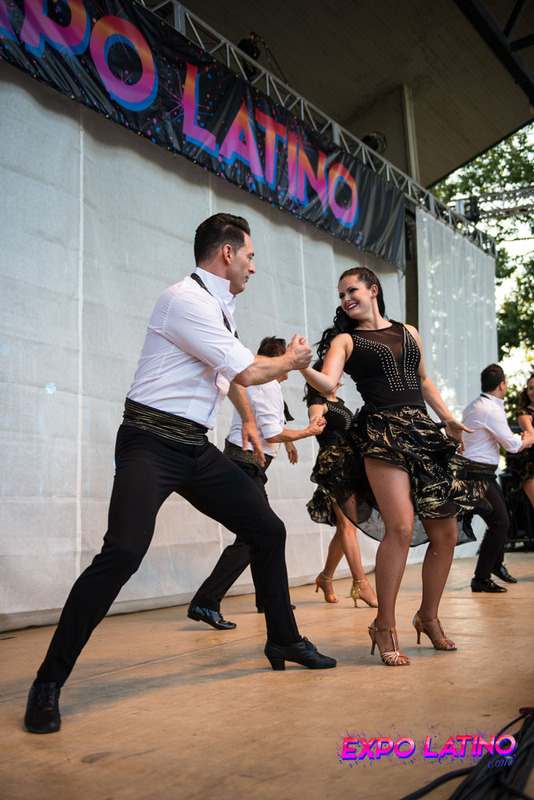 Since November 2017, the Hispanic Arts Society has focused on ensuring a smooth leadership transition. 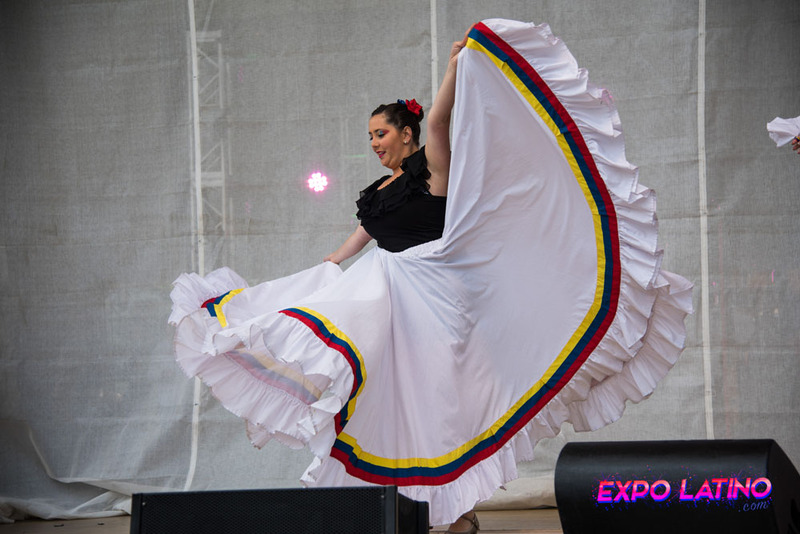 The Board is profoundly grateful to Carmen Galvez for her dedication as President of the Society for 30 years and appreciates her assistance in this transition. 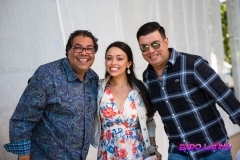 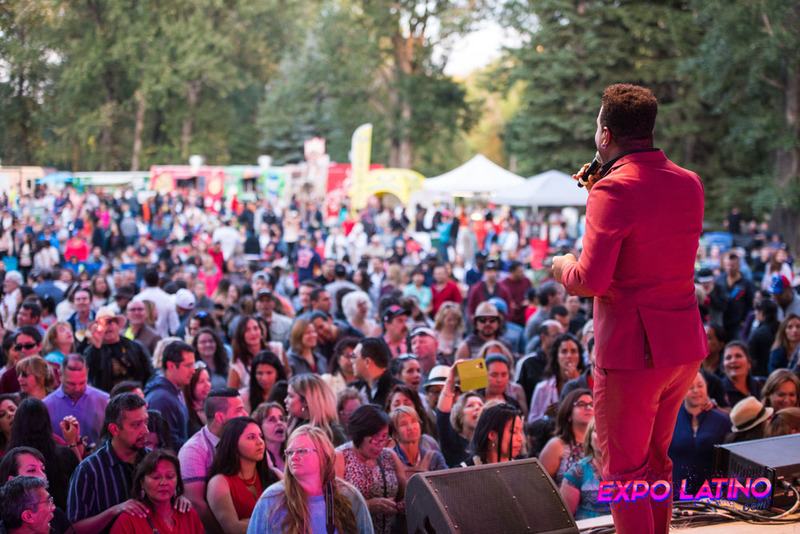 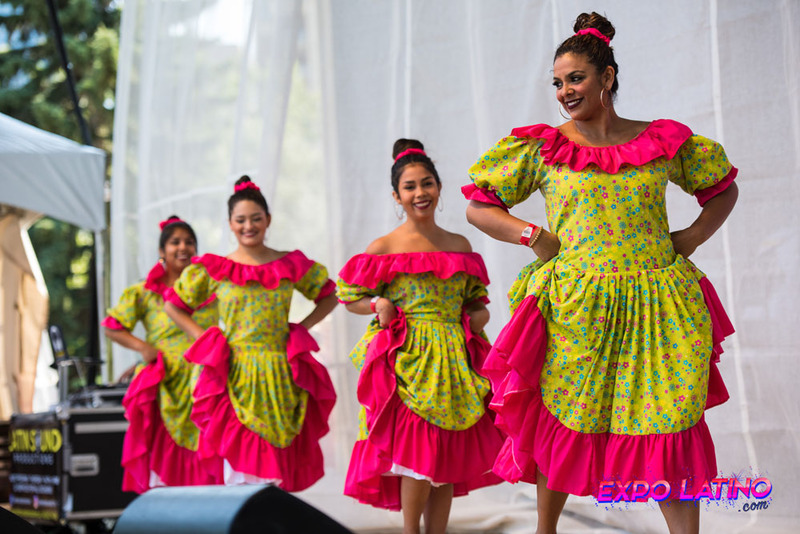 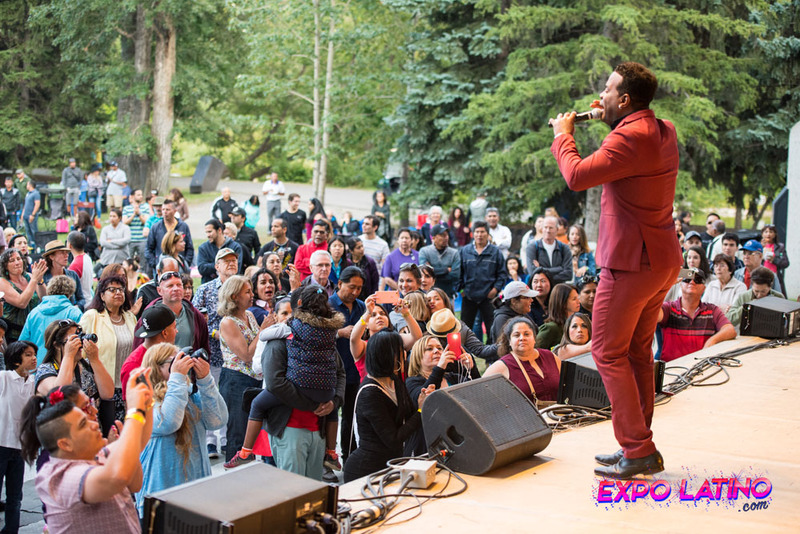 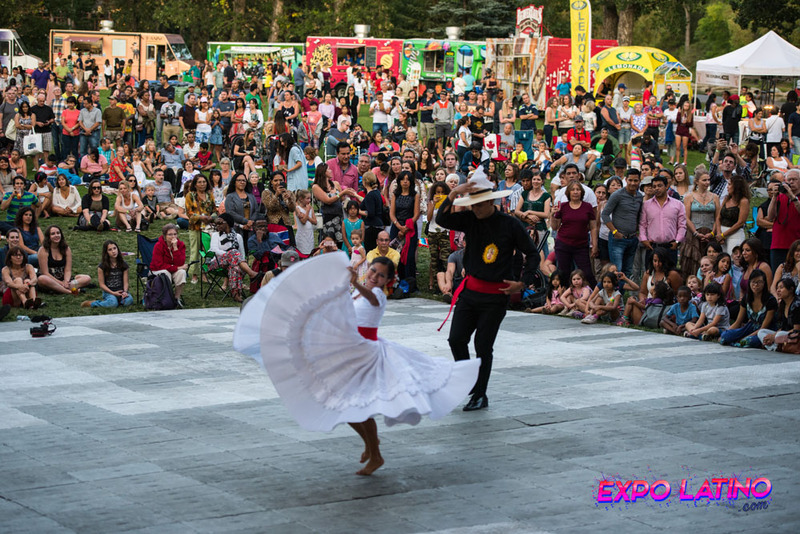 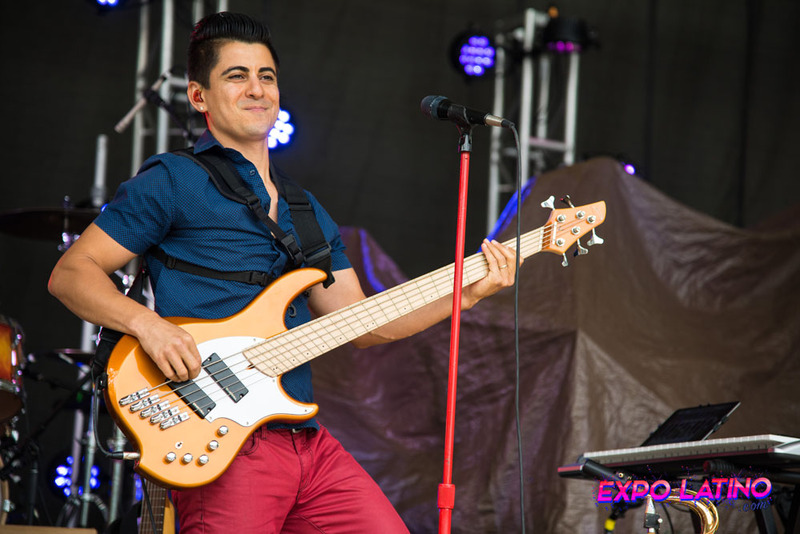 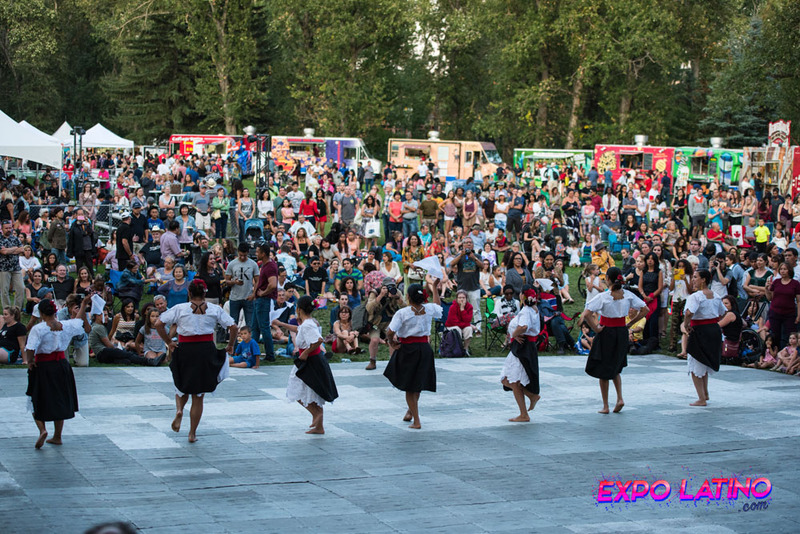 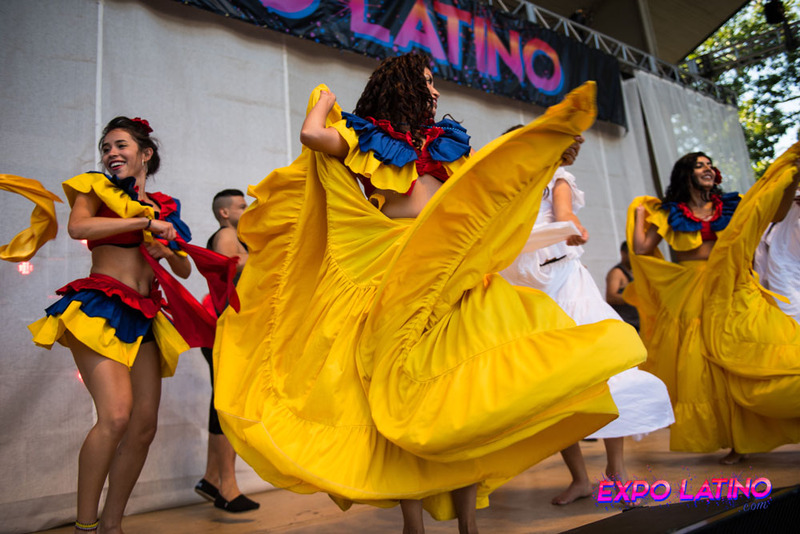 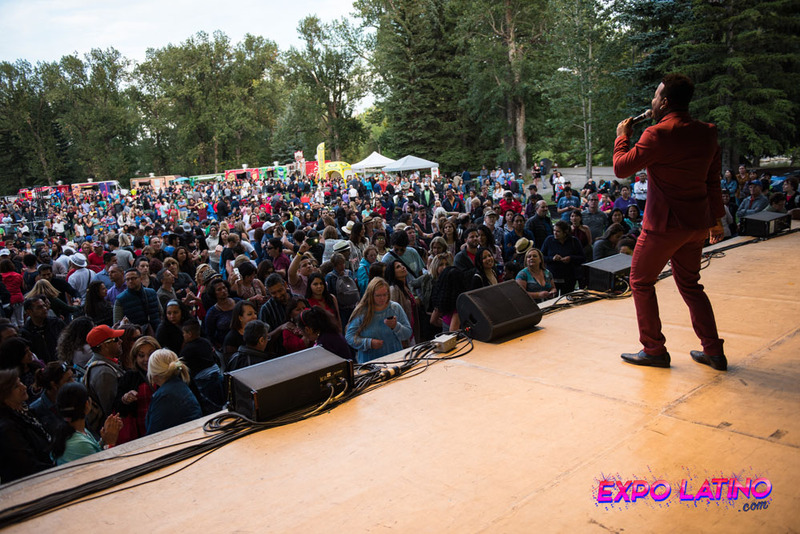 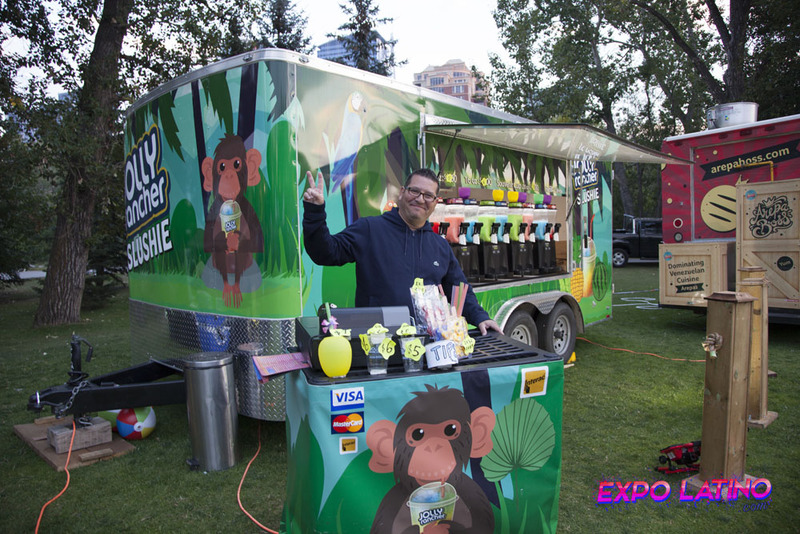 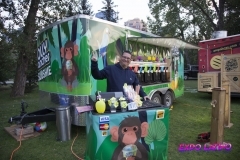 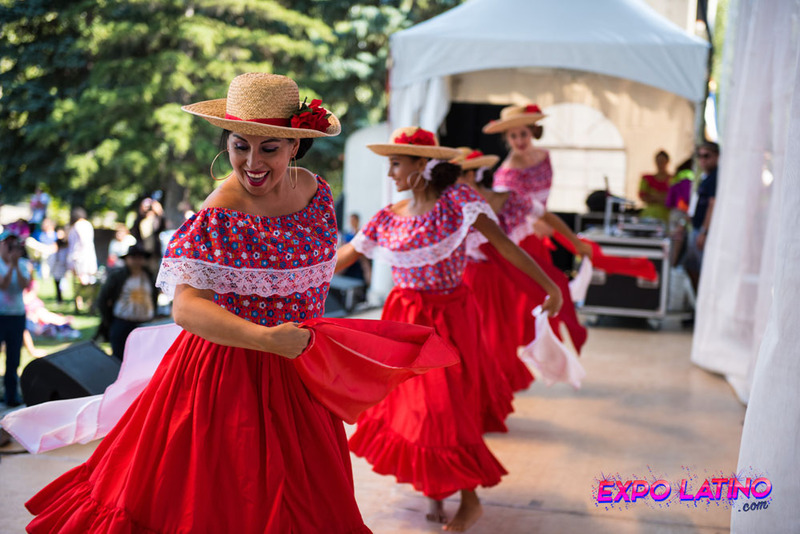 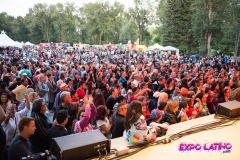 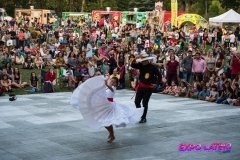 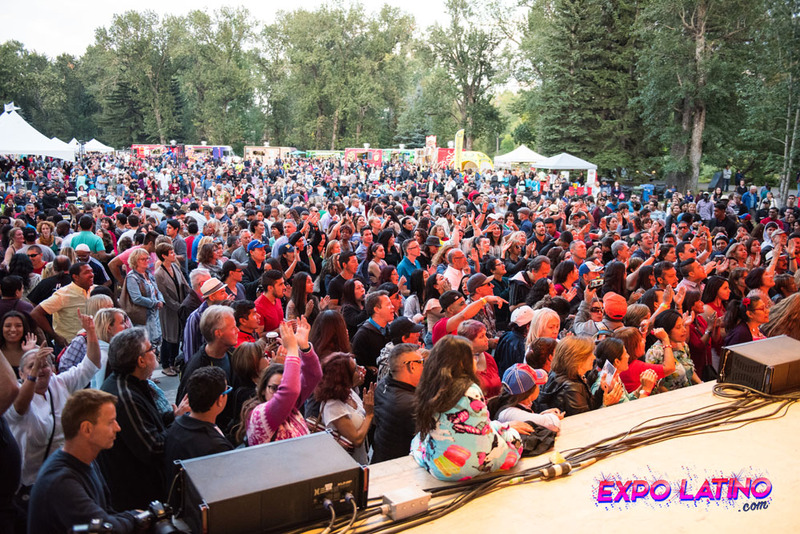 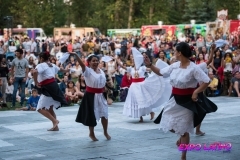 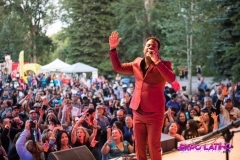 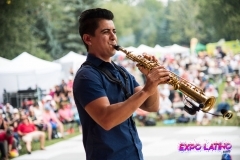 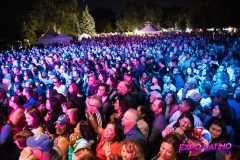 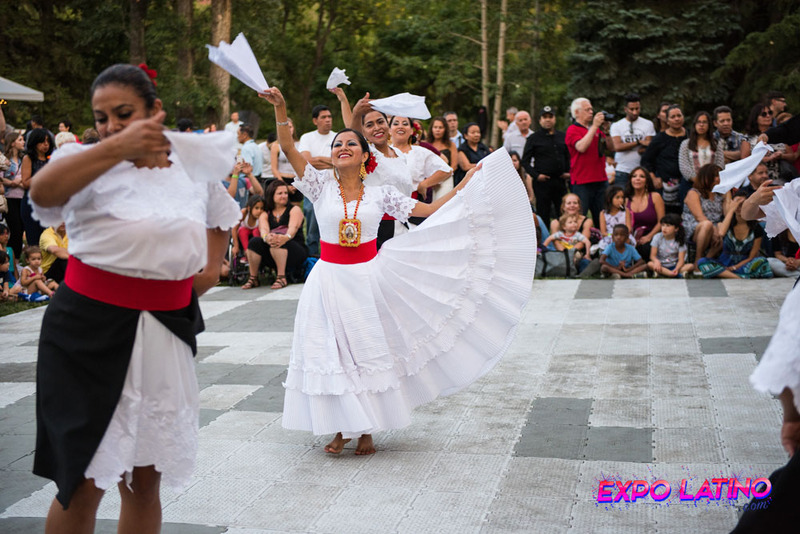 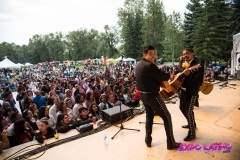 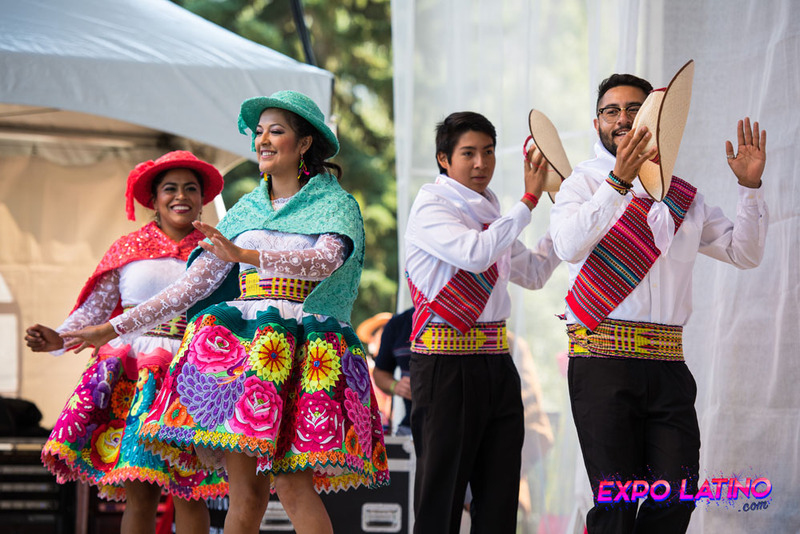 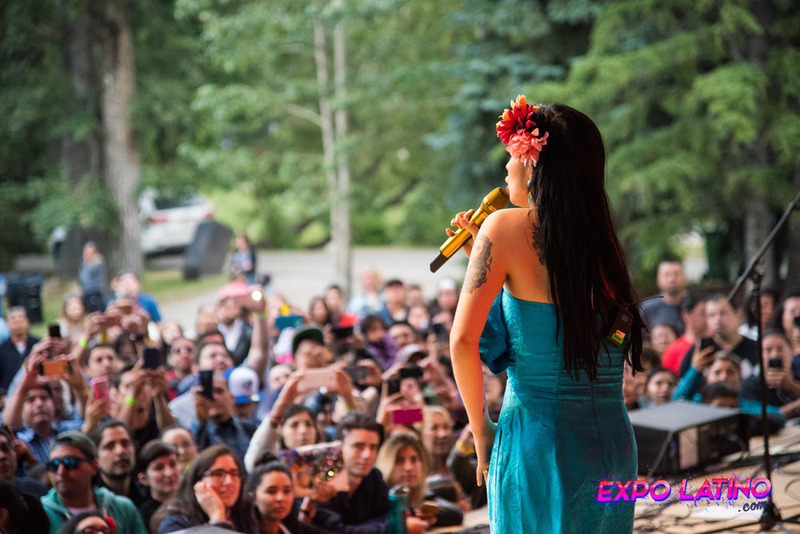 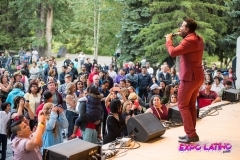 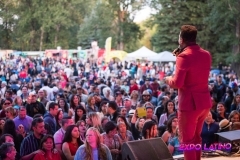 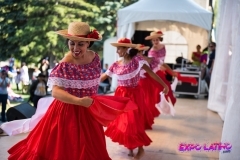 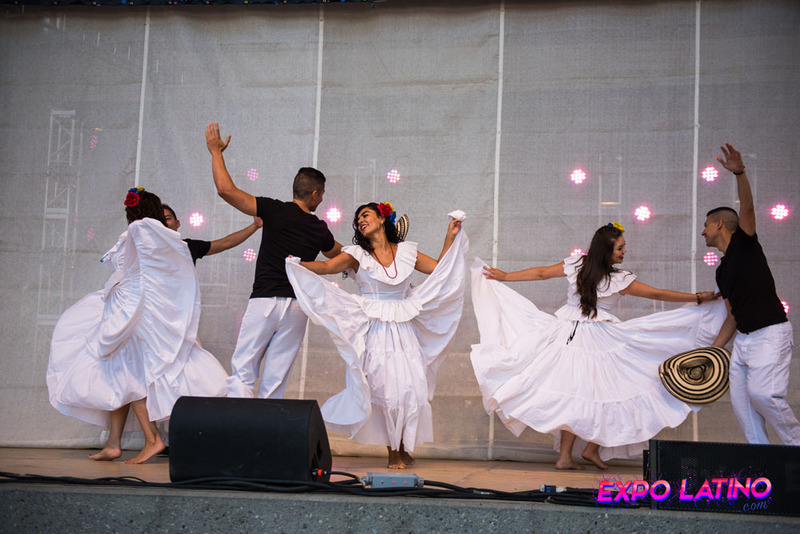 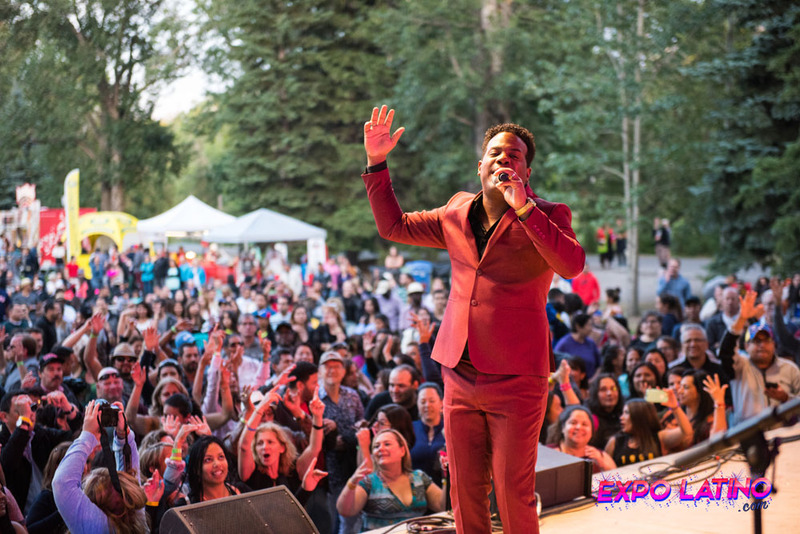 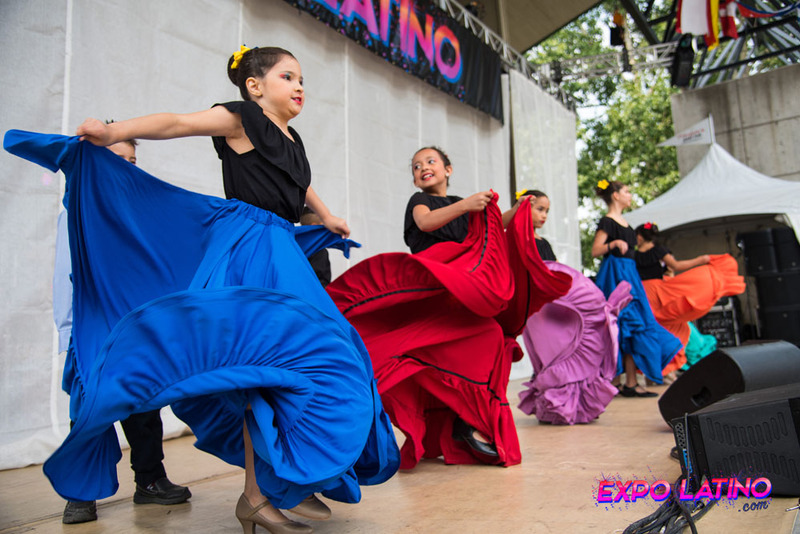 Calgary’s Hottest Outdoor Festival is not something to be missed, we look forward to seeing you at the 22nd Edition of Expo Latino on August 17th – 19th at Prince’s Island Park!